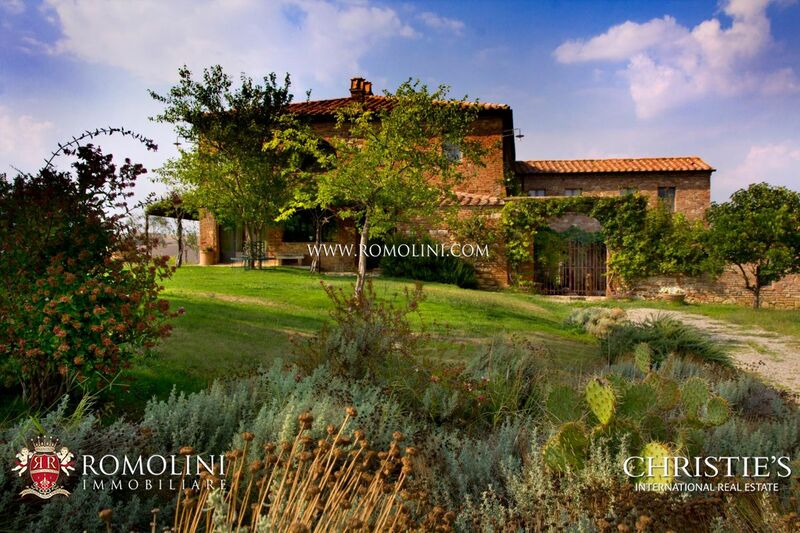 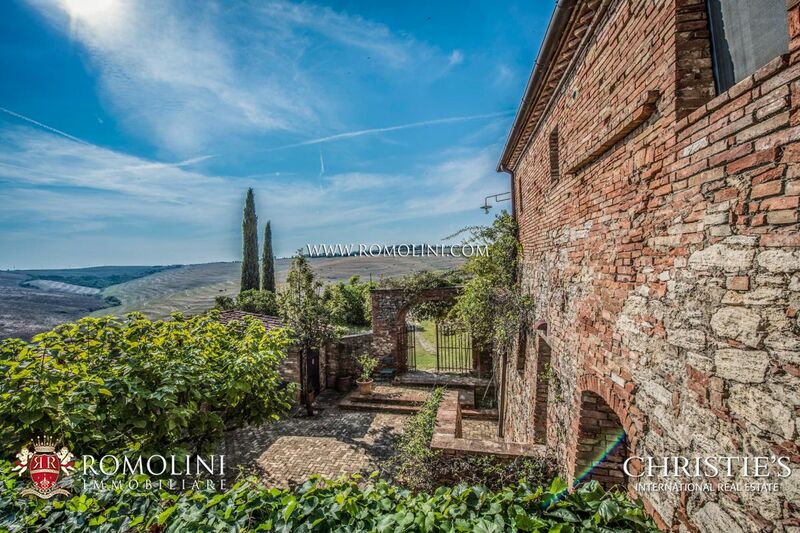 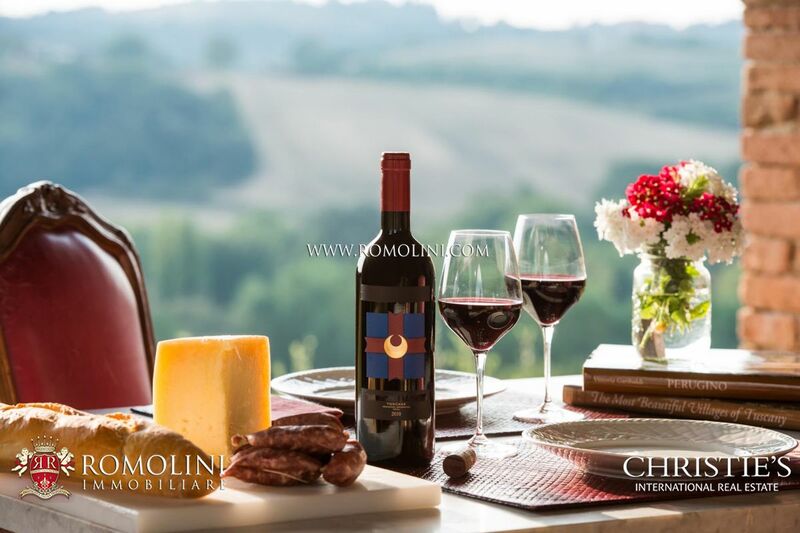 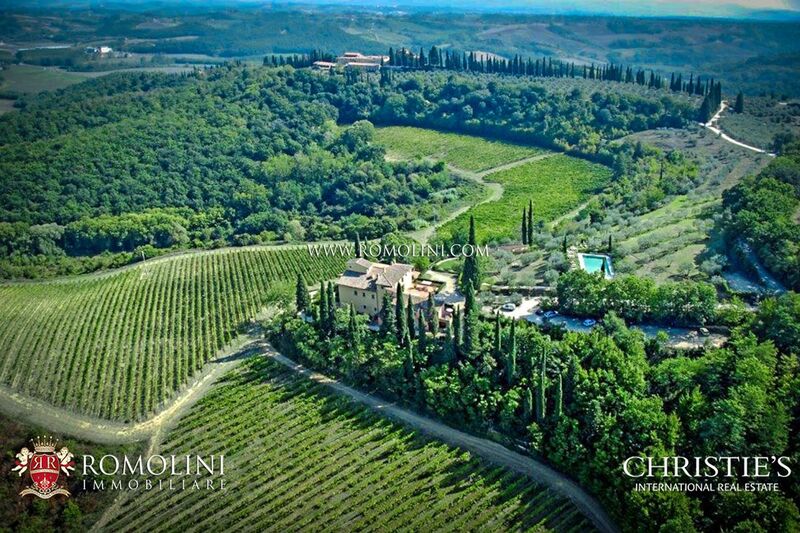 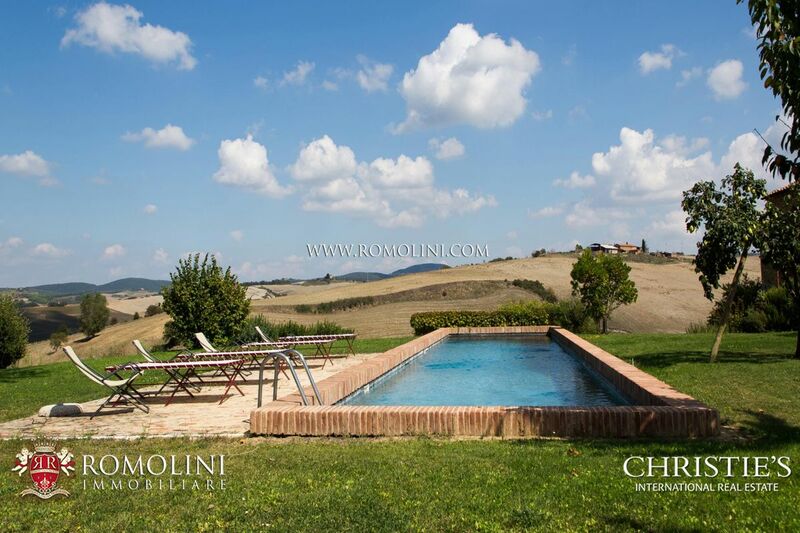 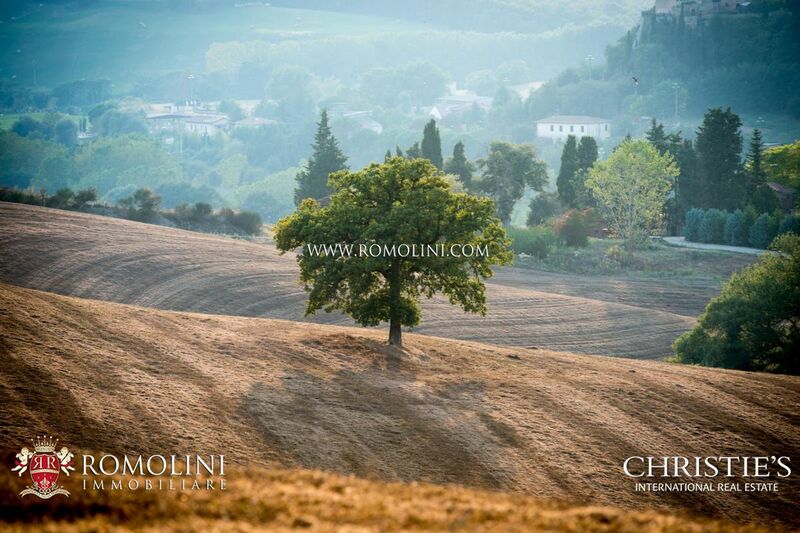 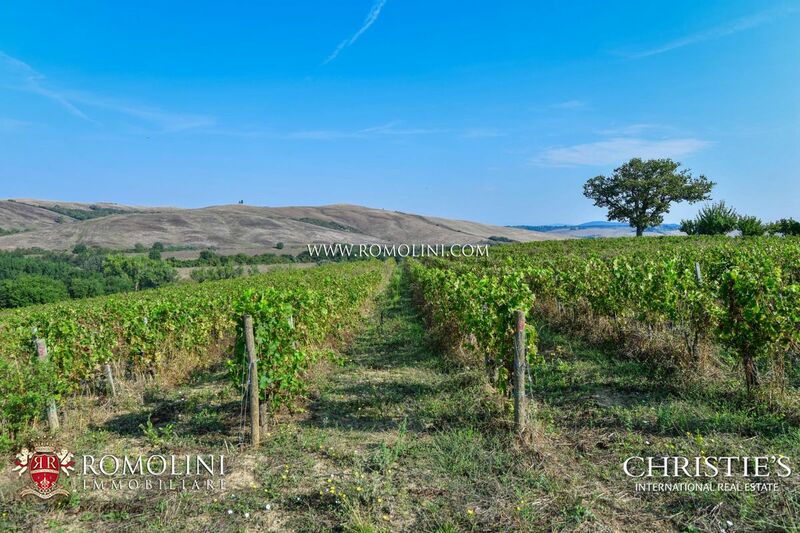 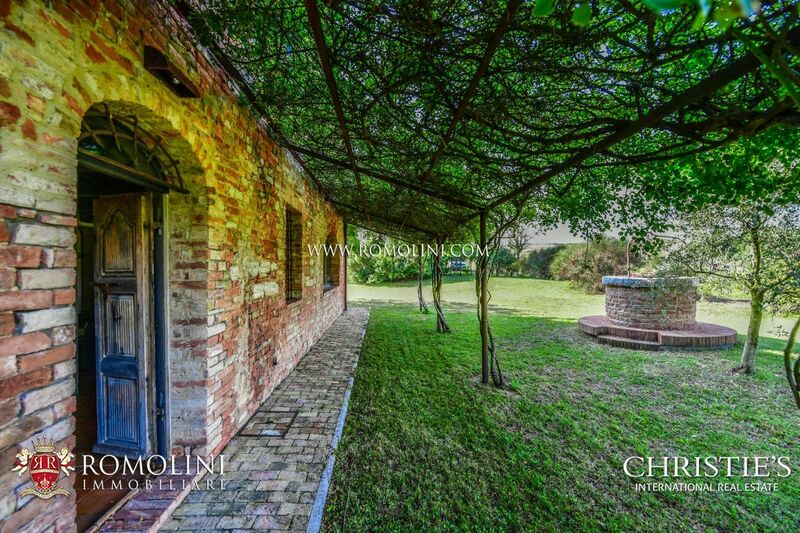 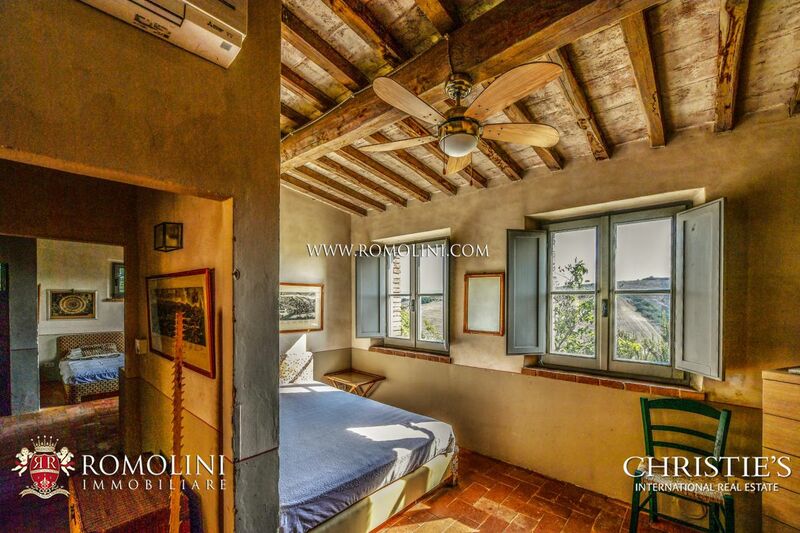 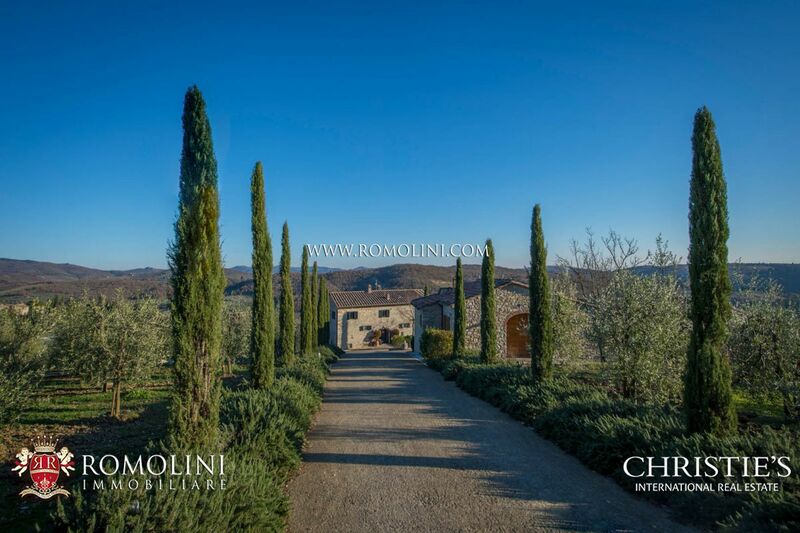 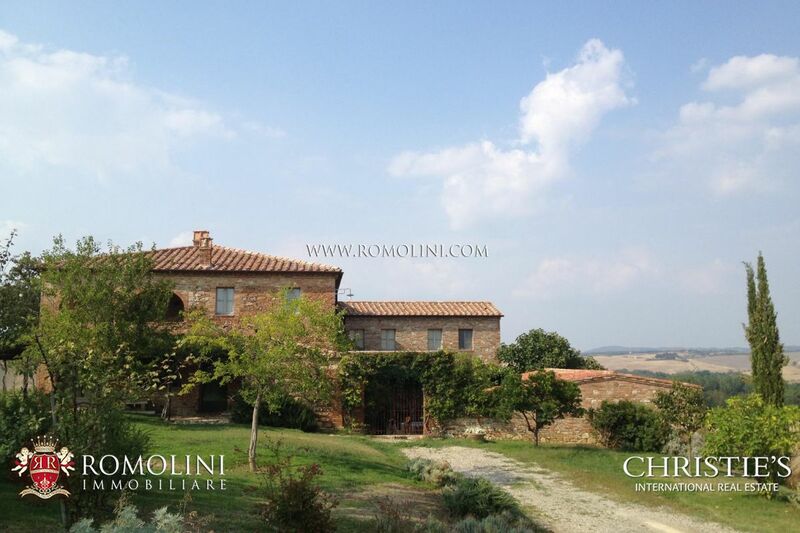 On the beautiful hills Val d’Orcia, not far from Montalcino, wine estate with stone farmhouse with guest house, cellar and vineyard. 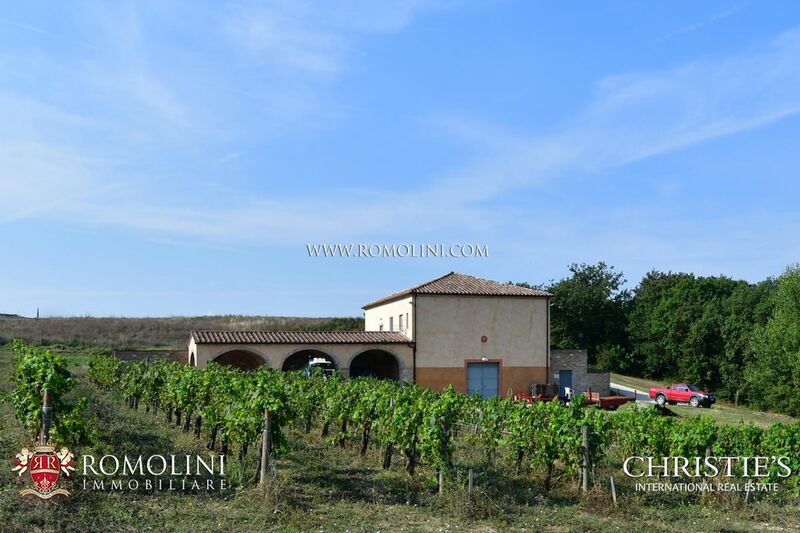 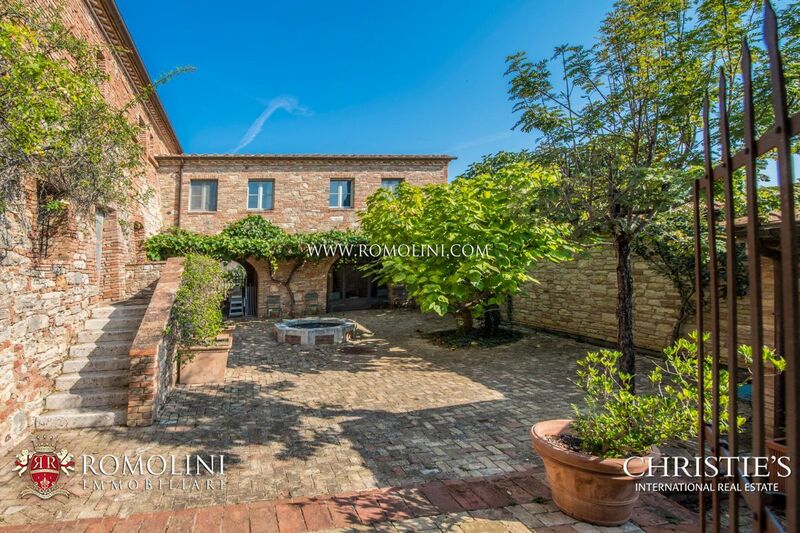 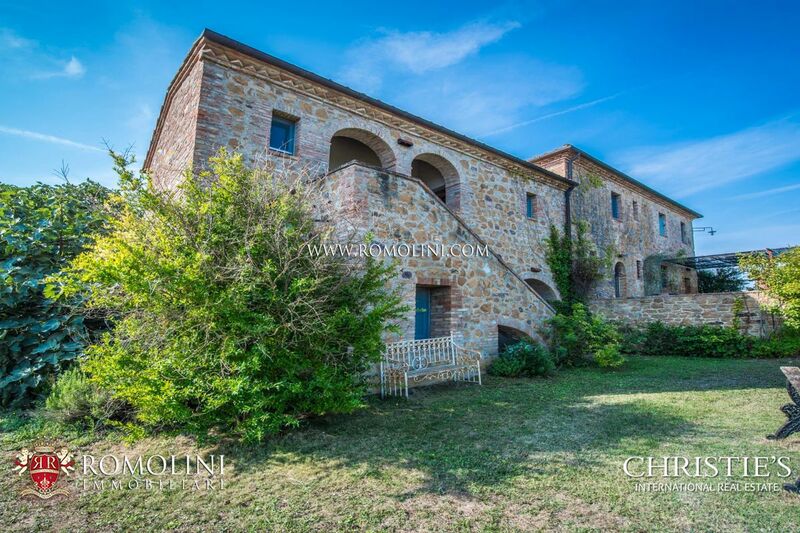 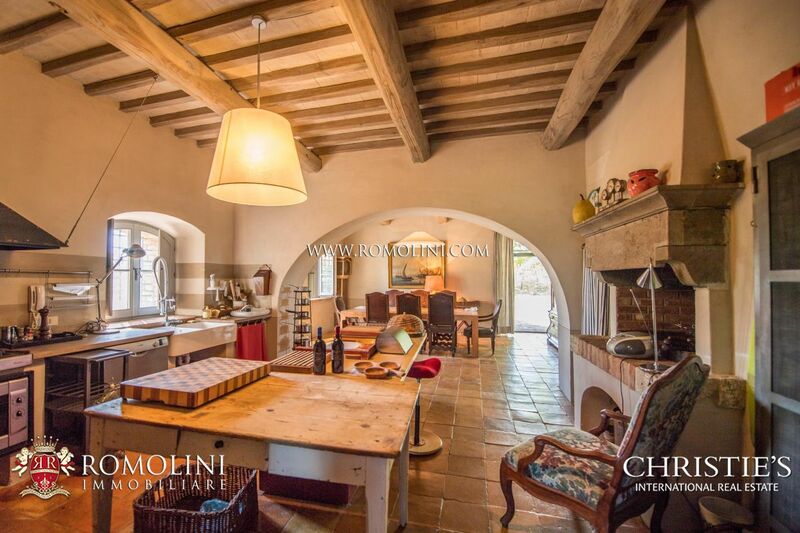 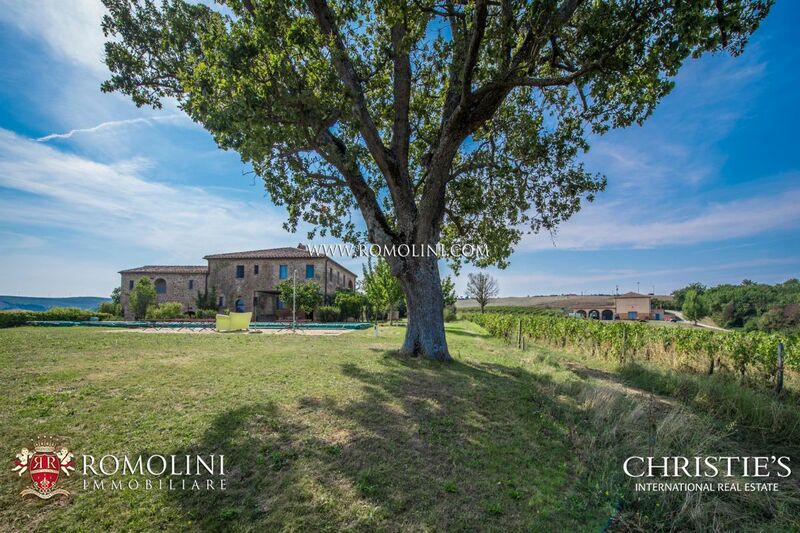 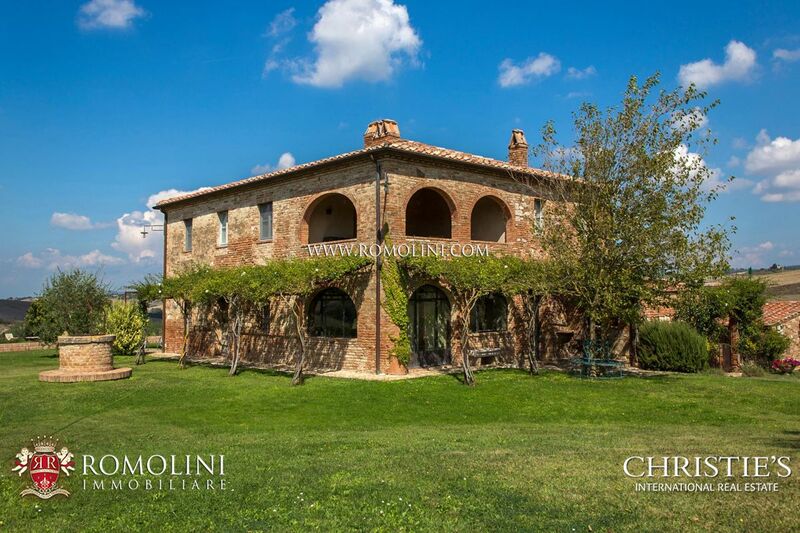 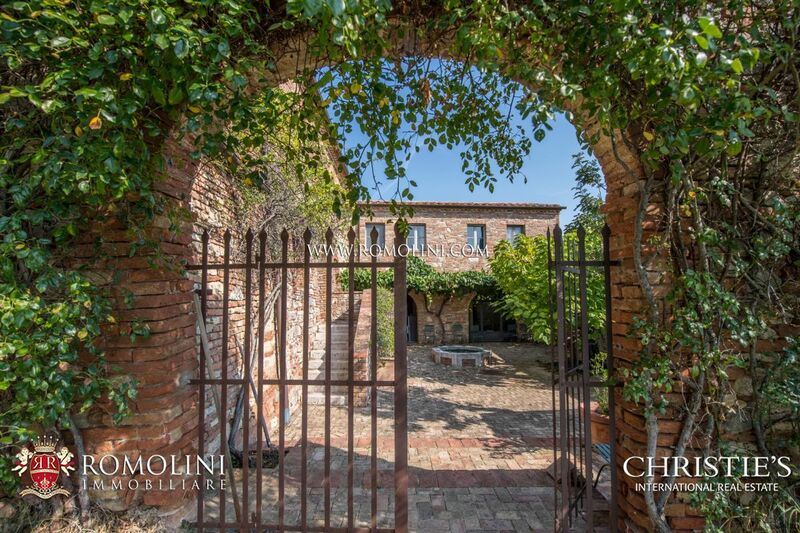 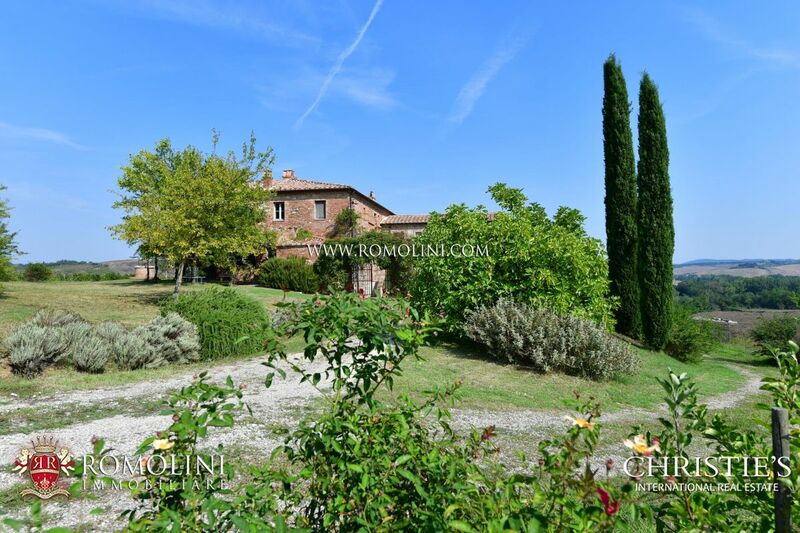 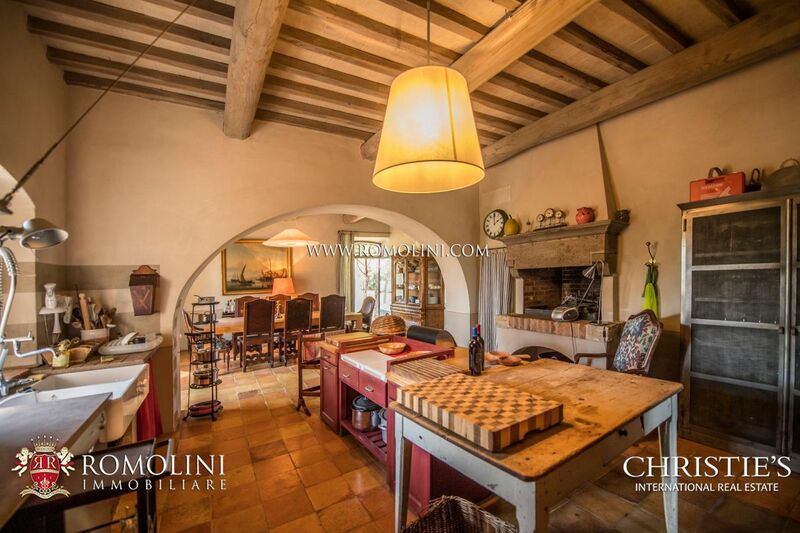 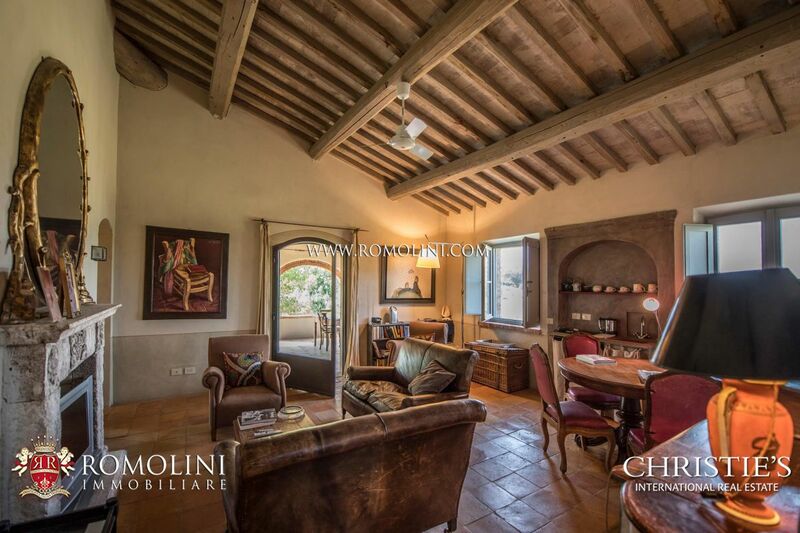 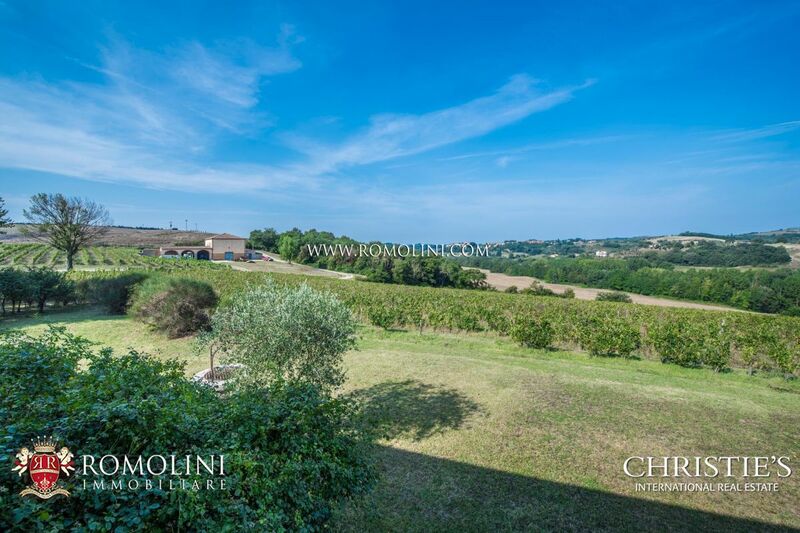 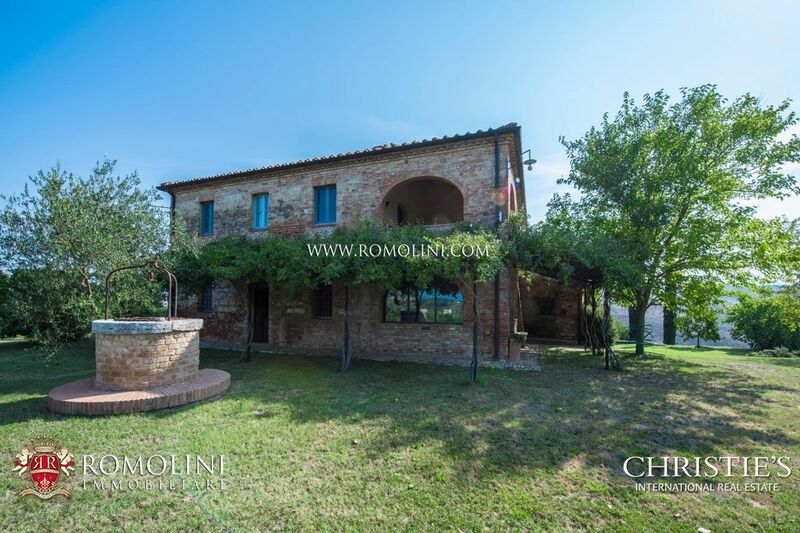 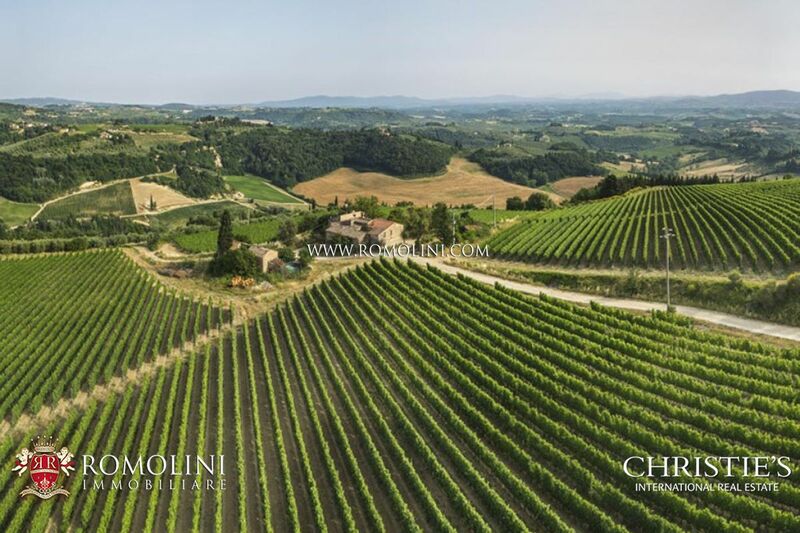 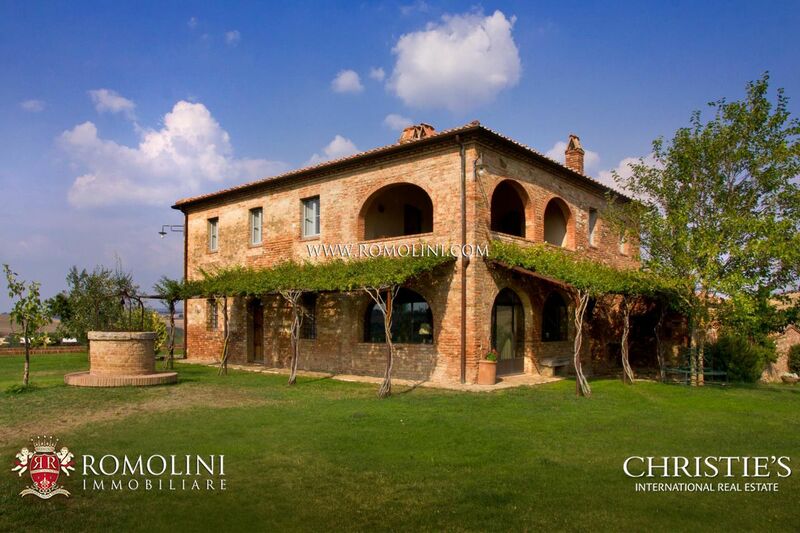 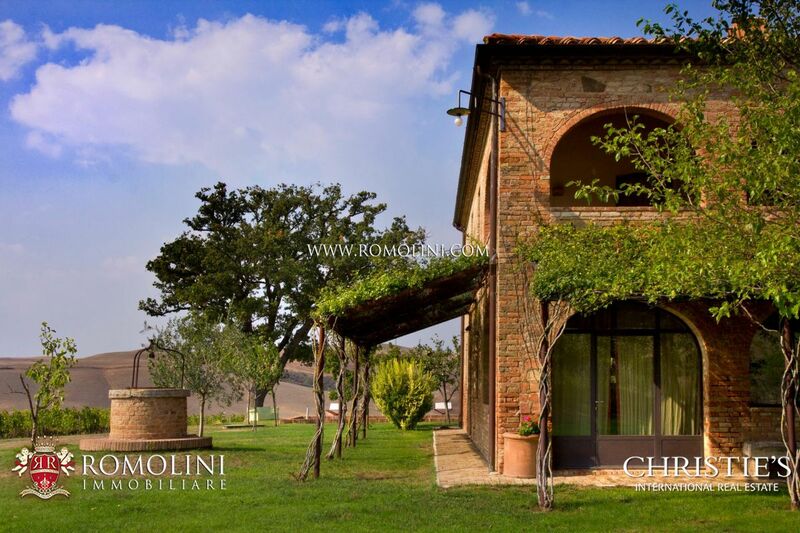 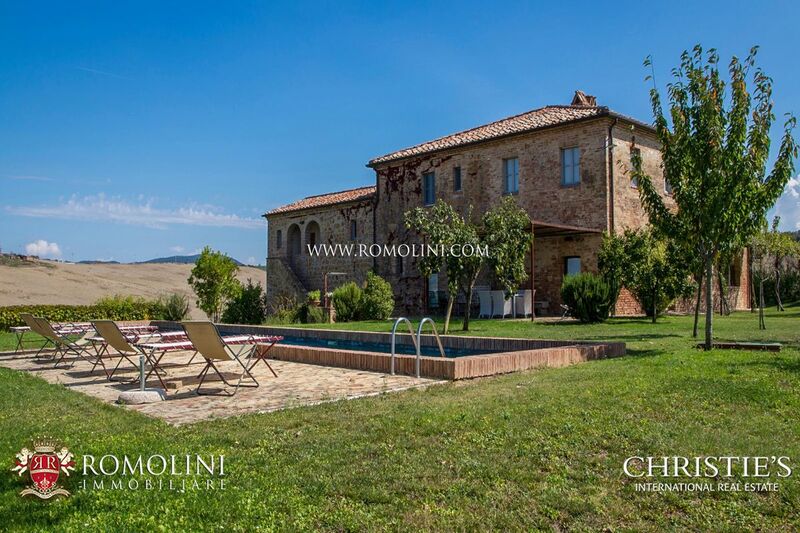 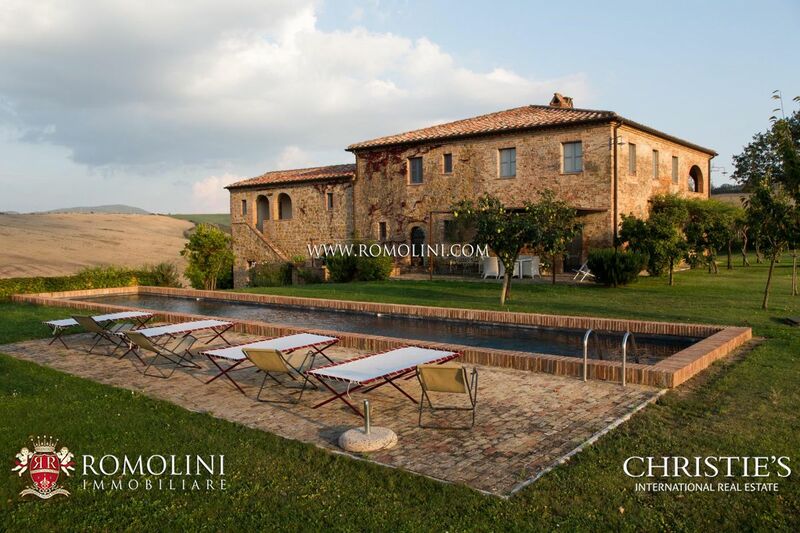 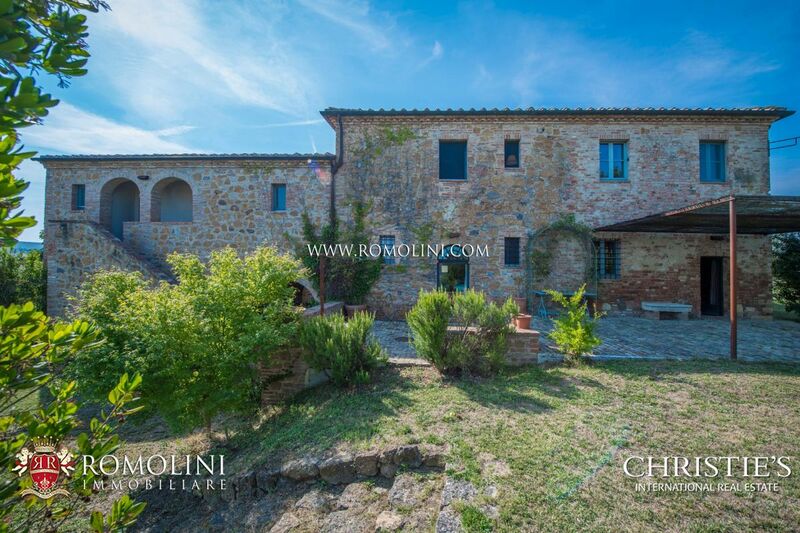 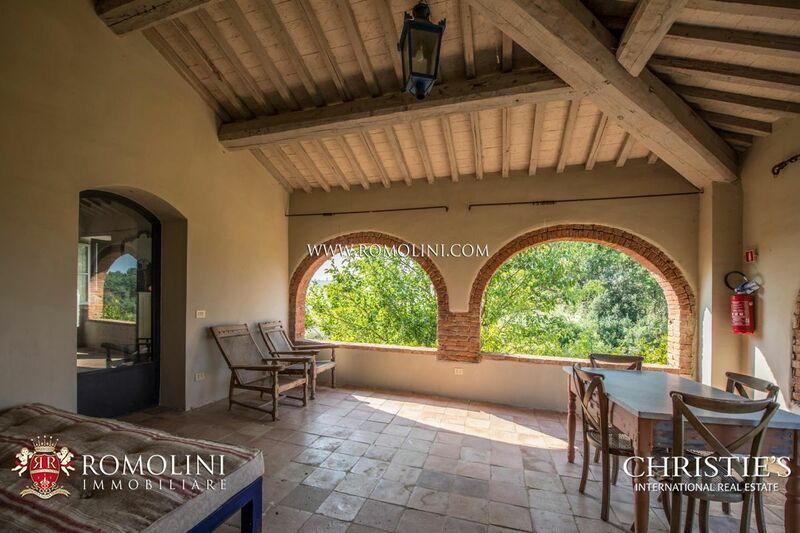 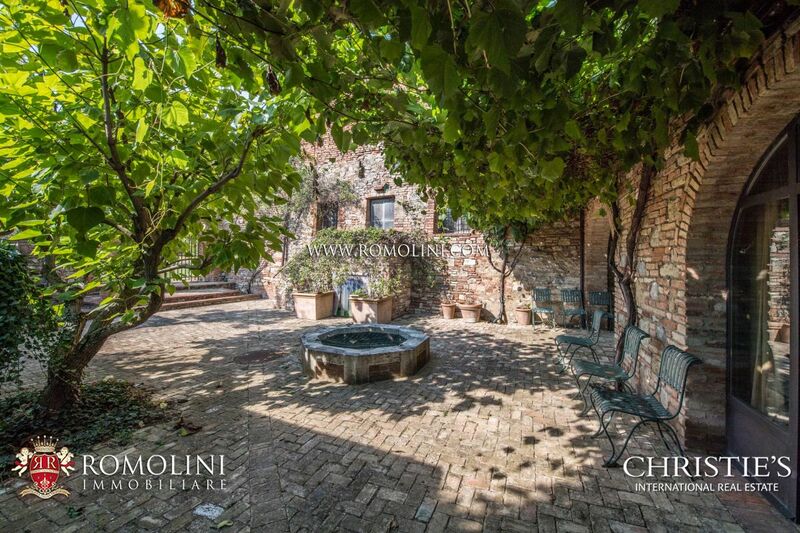 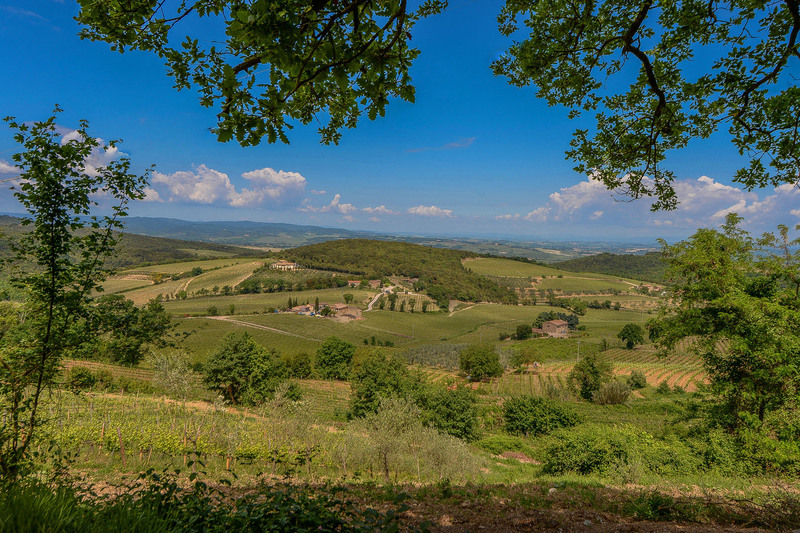 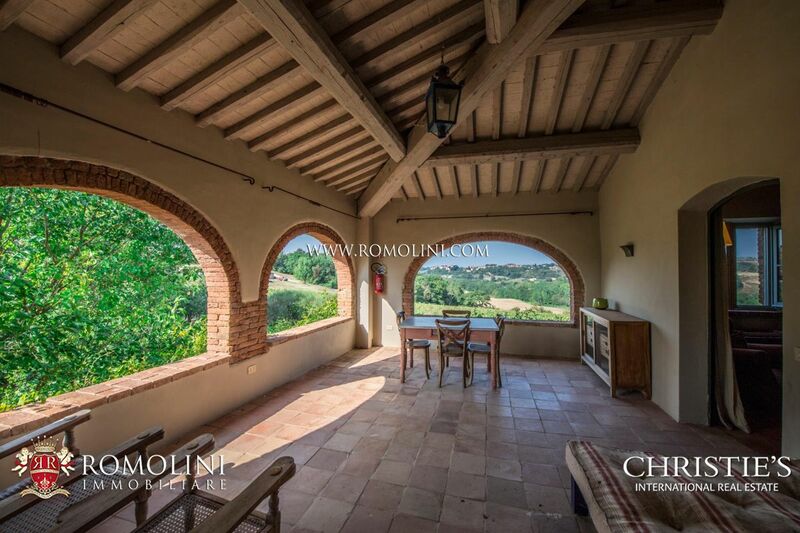 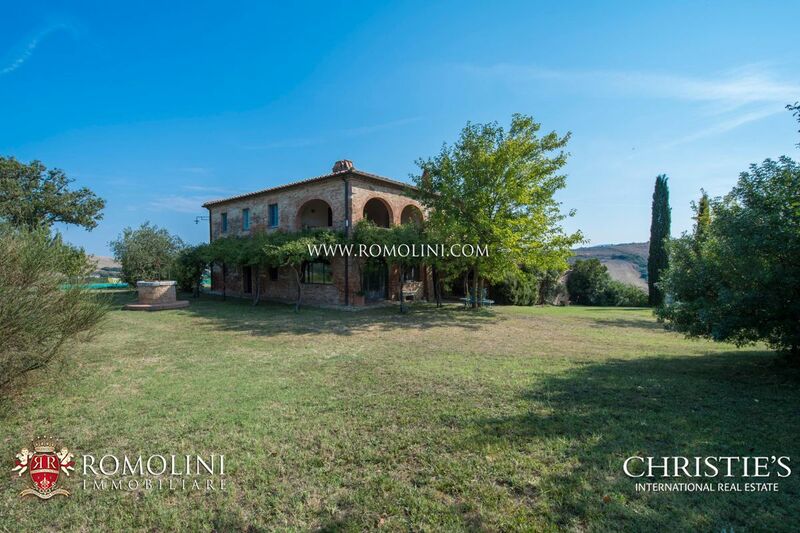 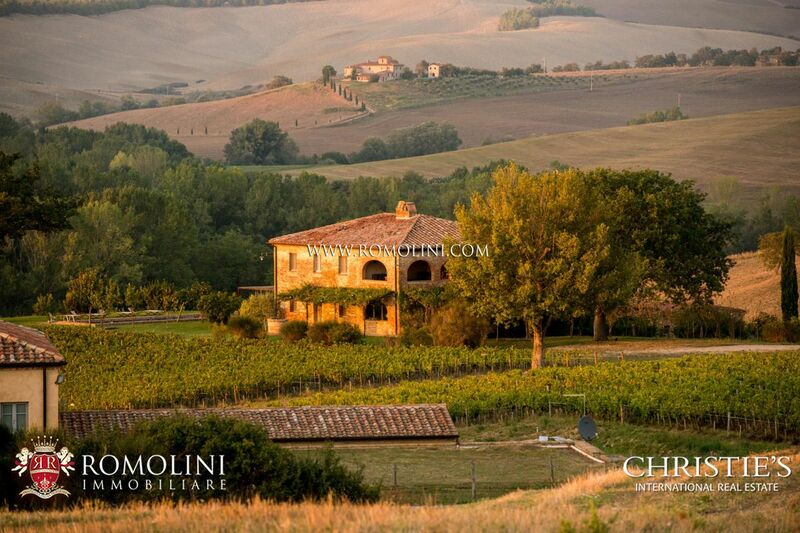 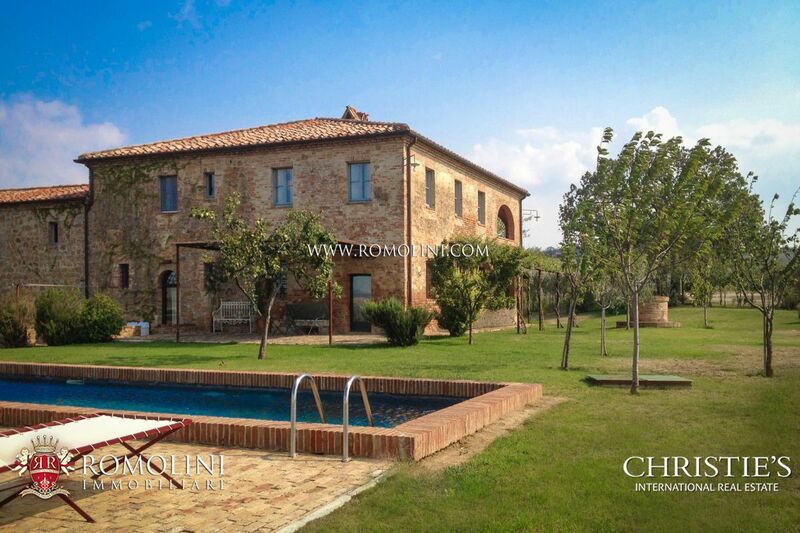 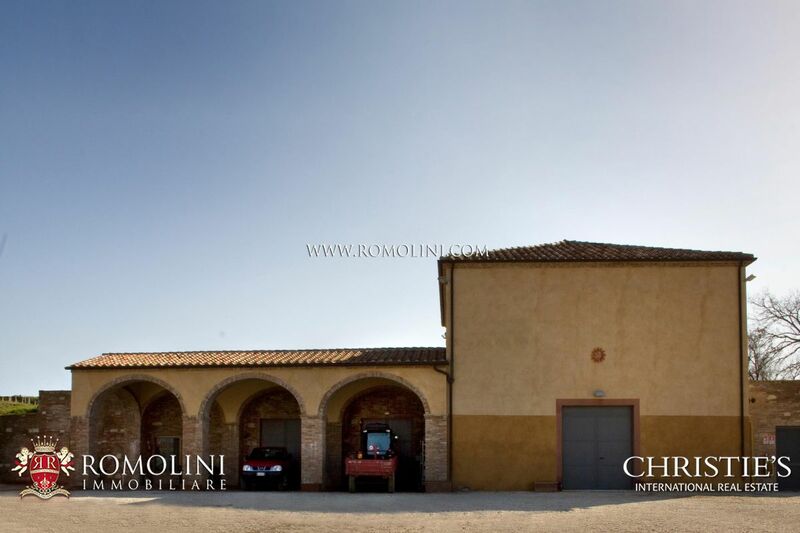 Easily reached via a short unpaved road (750 m) and not far from the necessary services (3km; 5’), the farmhouse allows a quick and easy reach to several towns of Tuscany: the papal Pienza (16km; 25’), the wine cities of Montalcino (21km; 25’) and Montepulciano (30km; 40’), the medieval Siena (47km; 1h), Arezzo (64km; 55’), the Etruscan Volterra (95km; 1h 45’) and the Renaissant Florence (118km; 1h 30’). 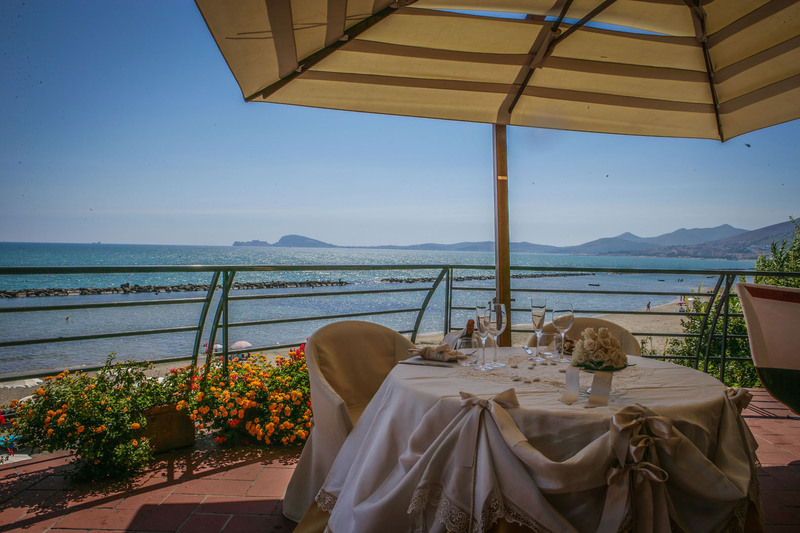 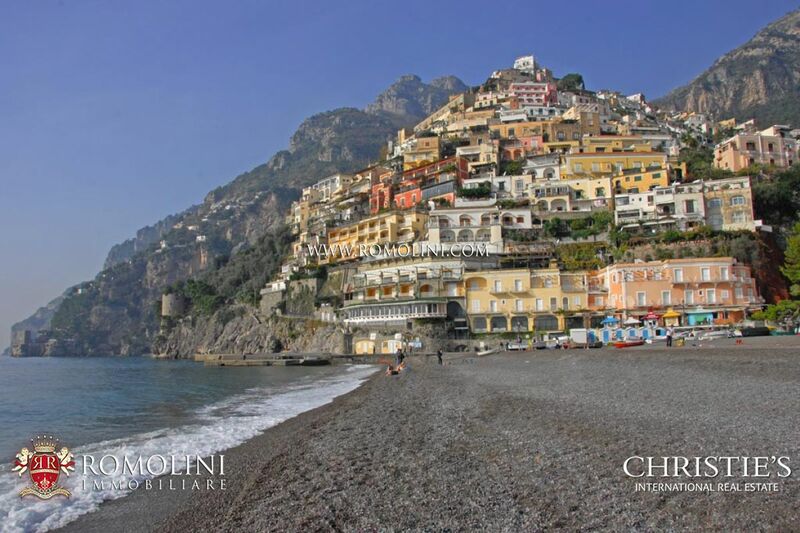 For those who love the seaside, the Tyrrhenian coast of Tuscany can easily be reached in a short time frame: Castiglione della Pescaia (99km; 1h 30’), Follonica (118km; 1h 40’) and Punta Ala (119km; 1h 50’) are the most notable towns. 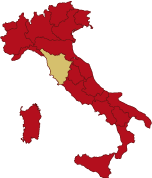 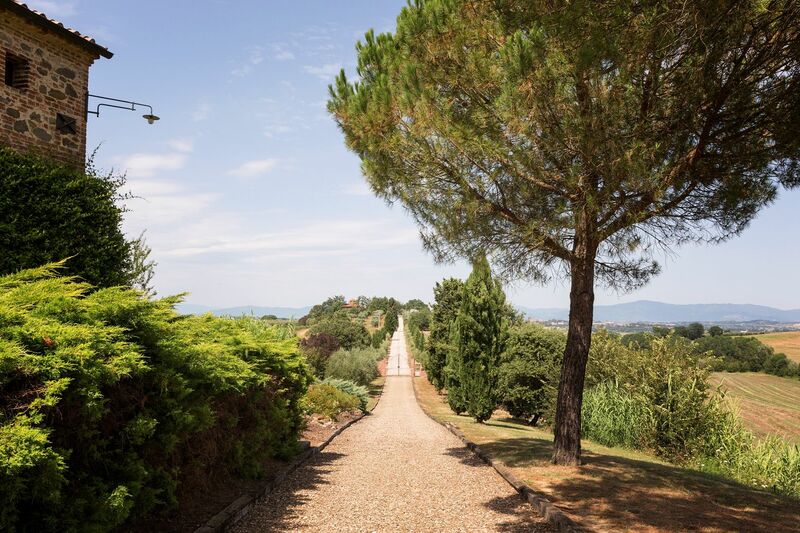 The most useful airports to reach the property are Grosseto Baccarini (81km; 1h 15’), Perugia Sant’Egidio (93km; 1h 15’), Firenze Peretola (138km; 1h 40’) and Pisa Galilei (199km; 2h 20’). 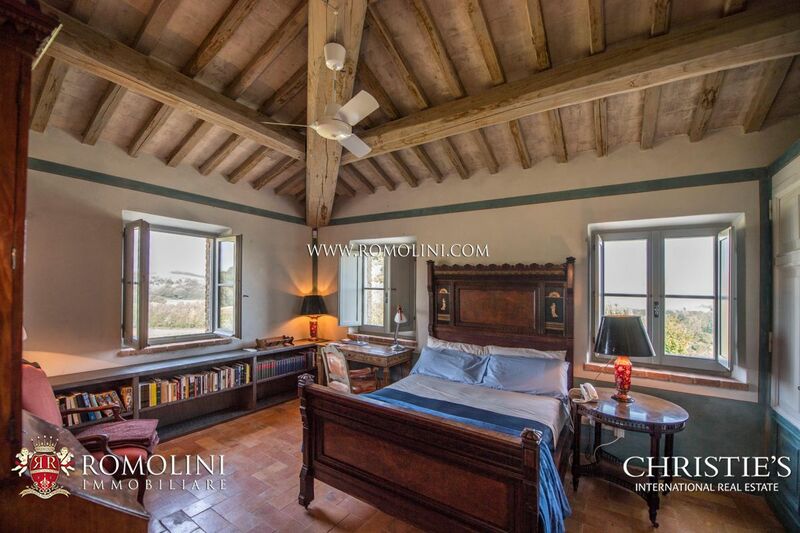 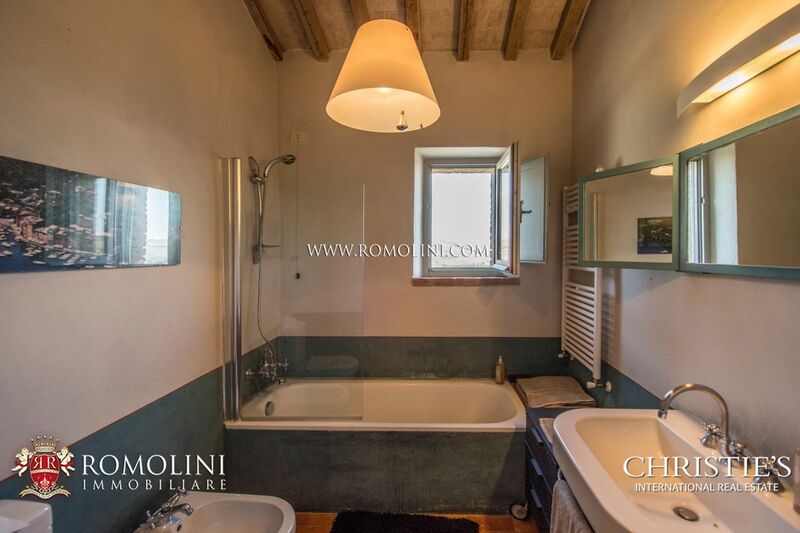 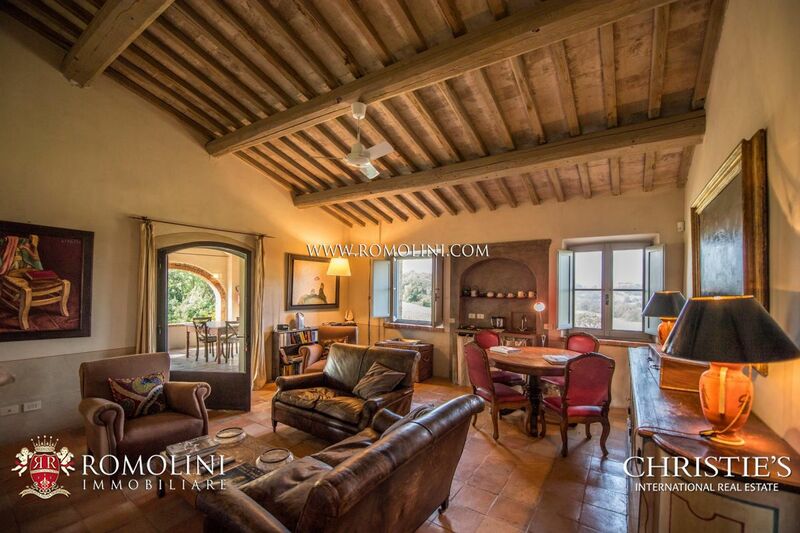 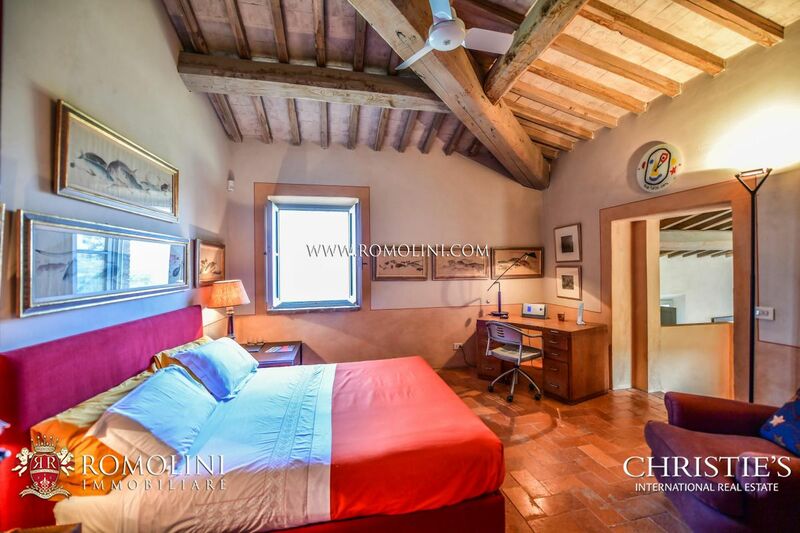 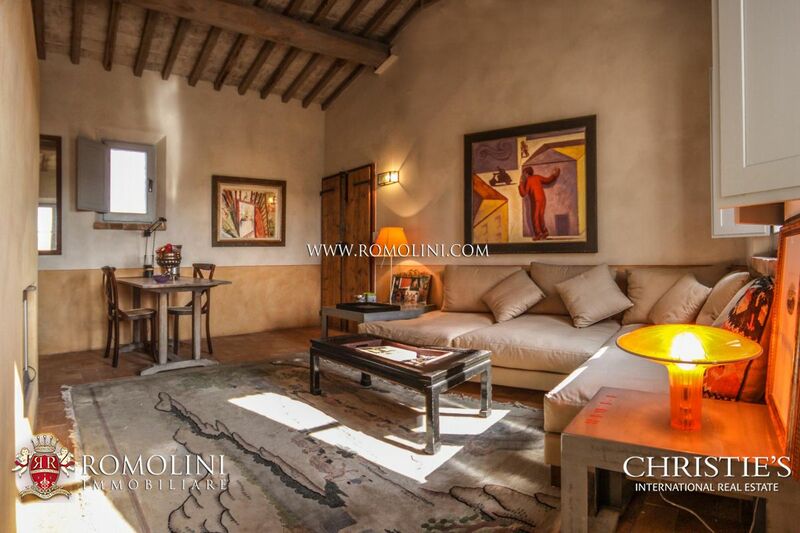 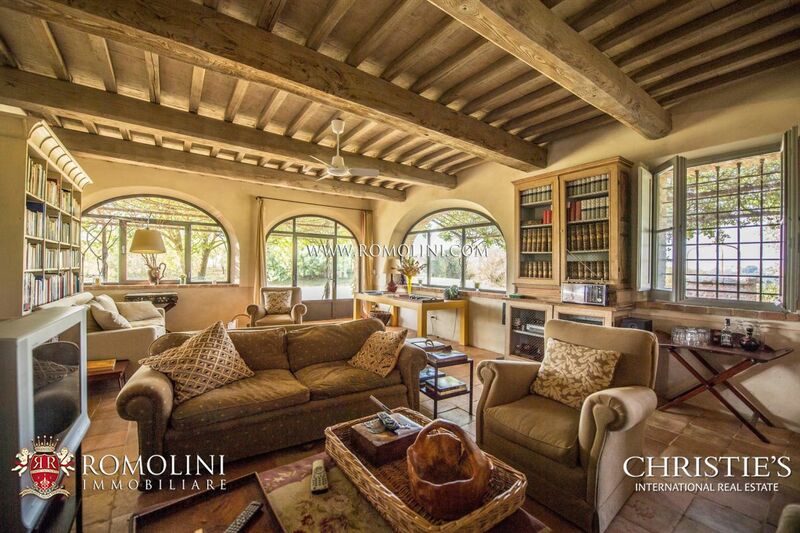 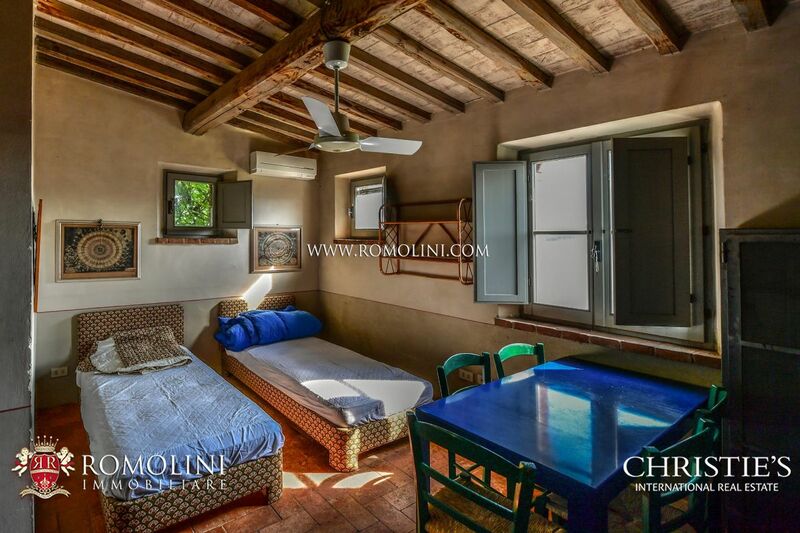 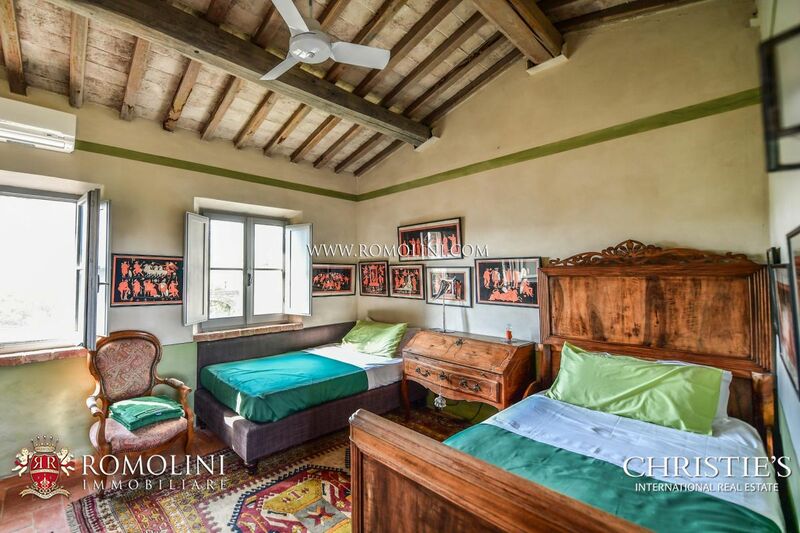 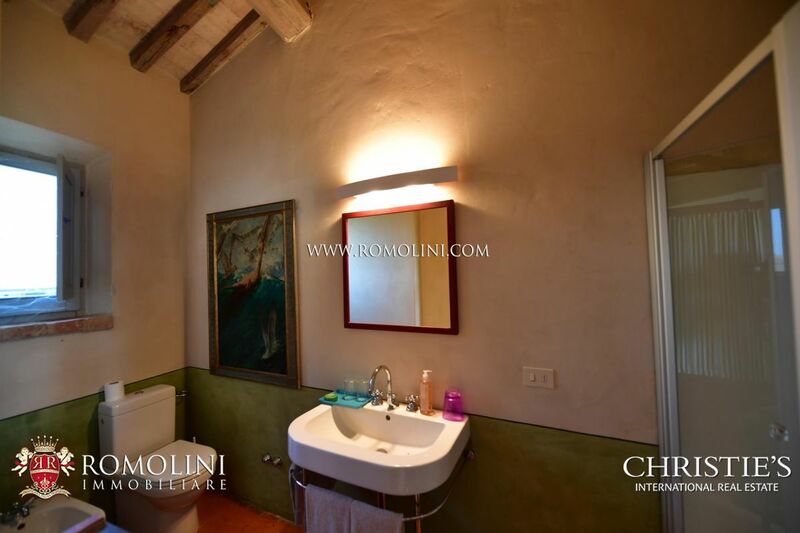 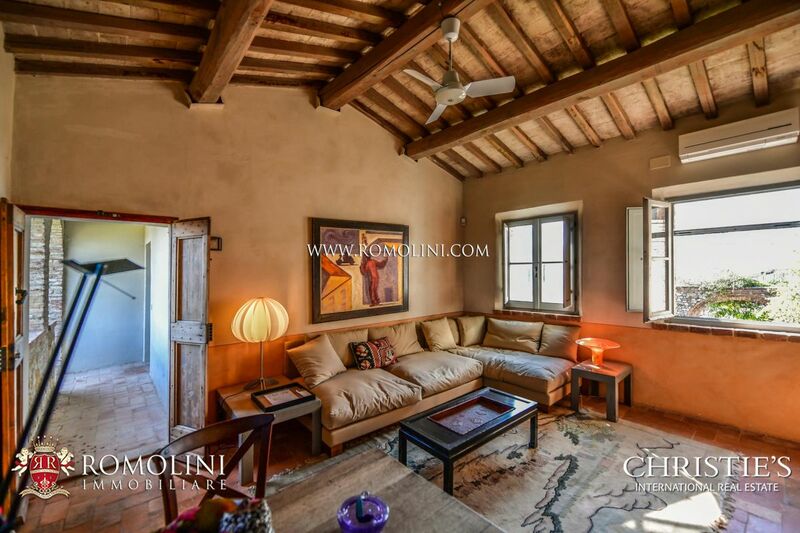 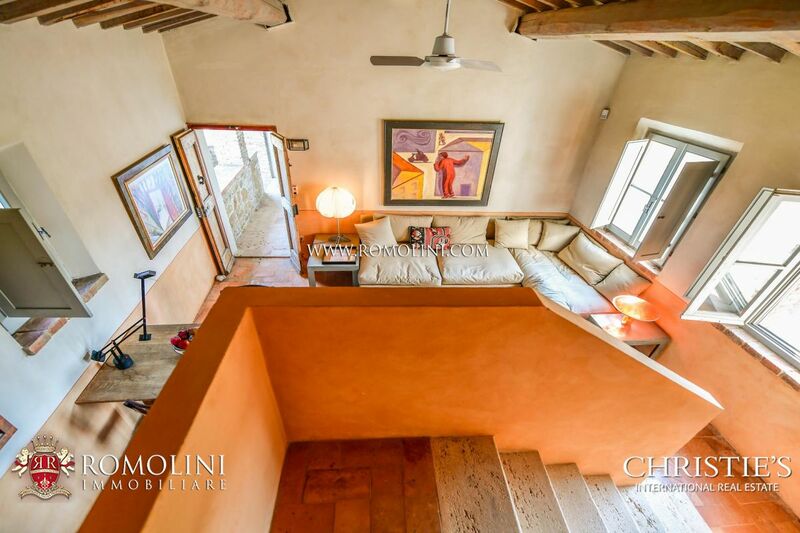 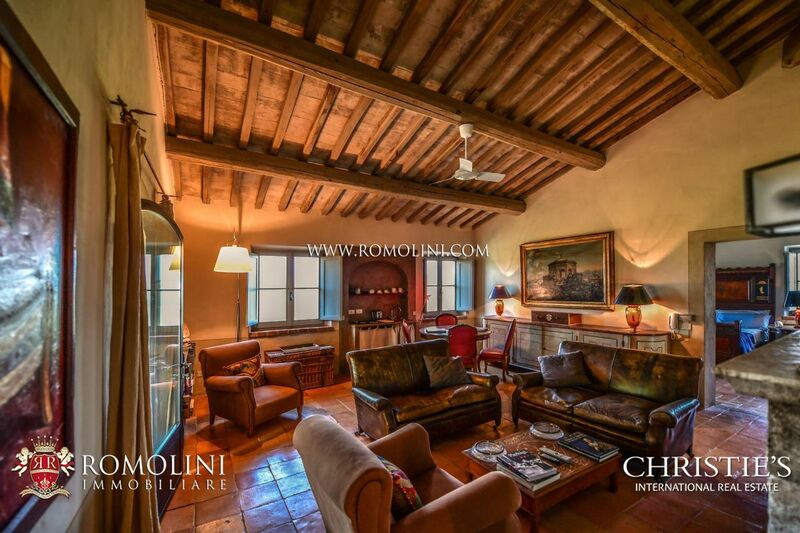 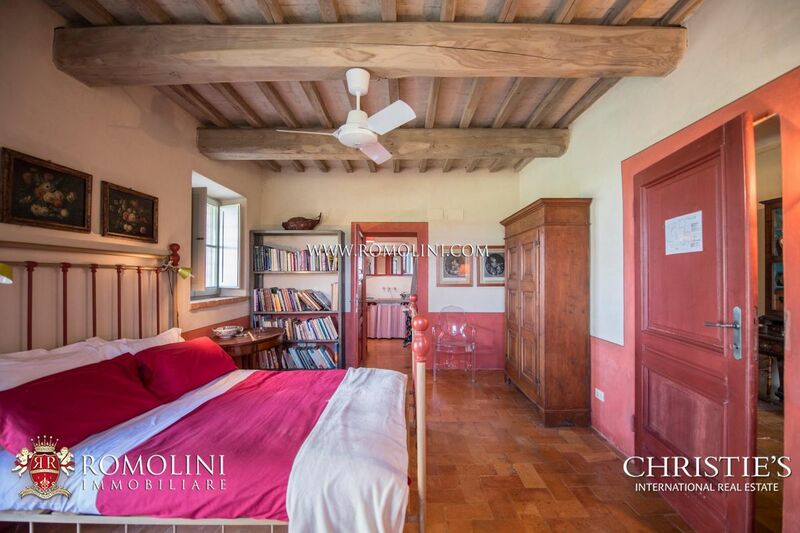 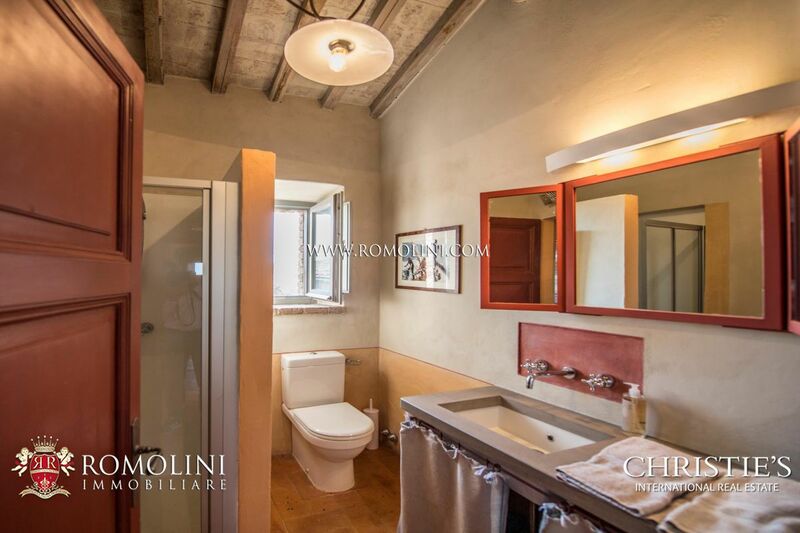 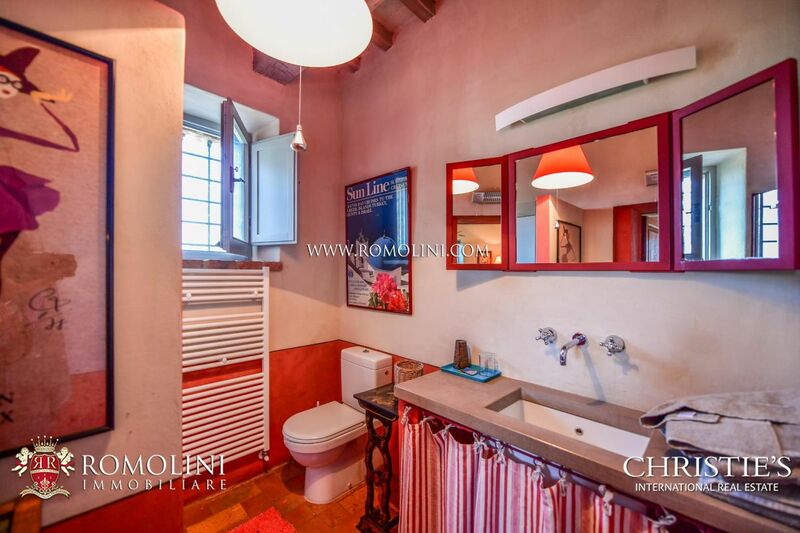 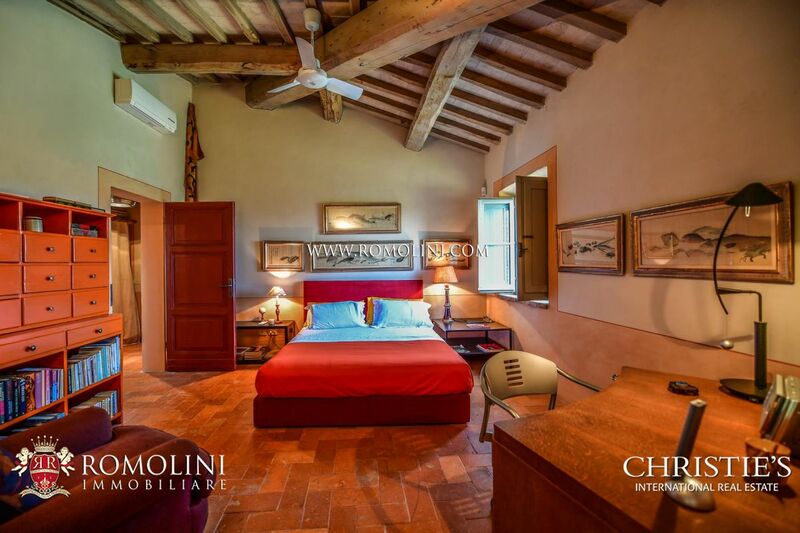 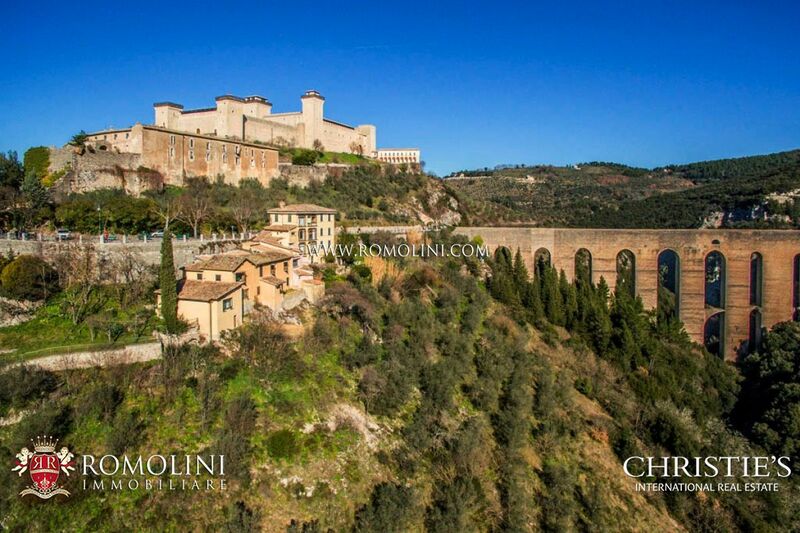 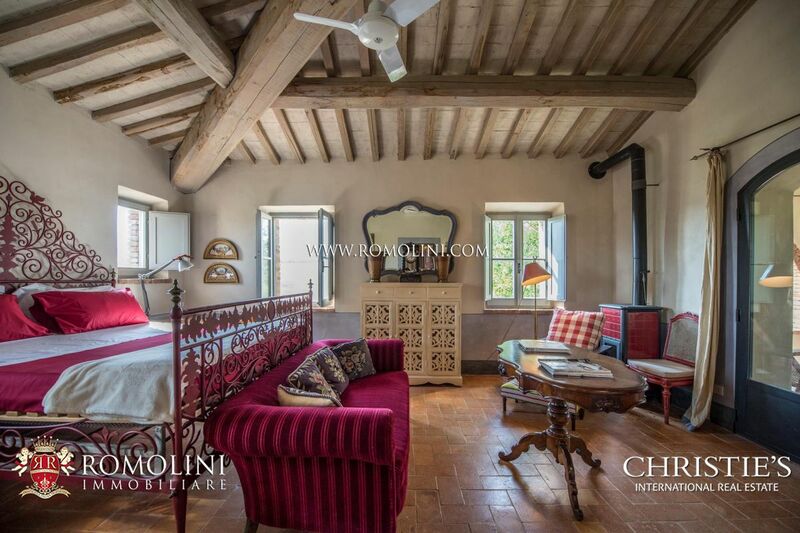 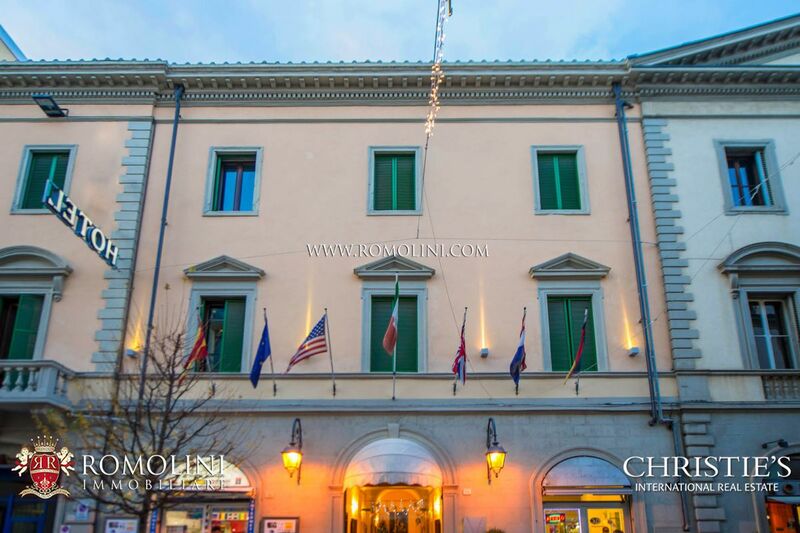 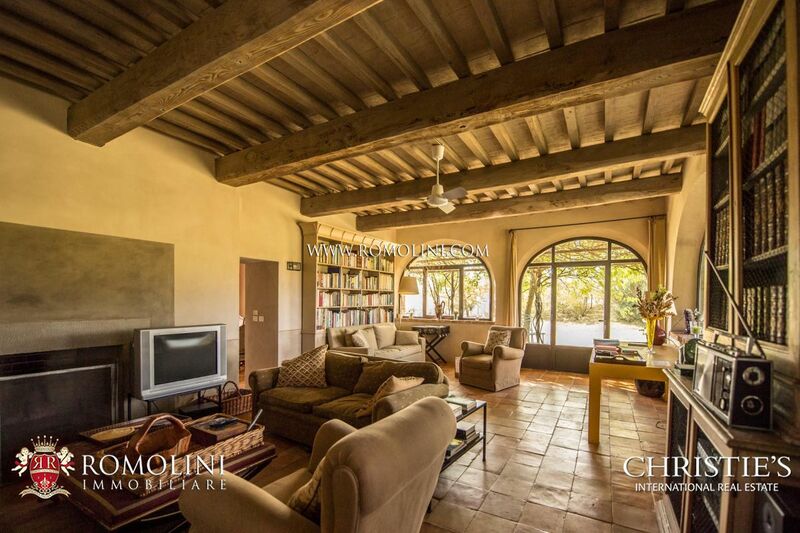 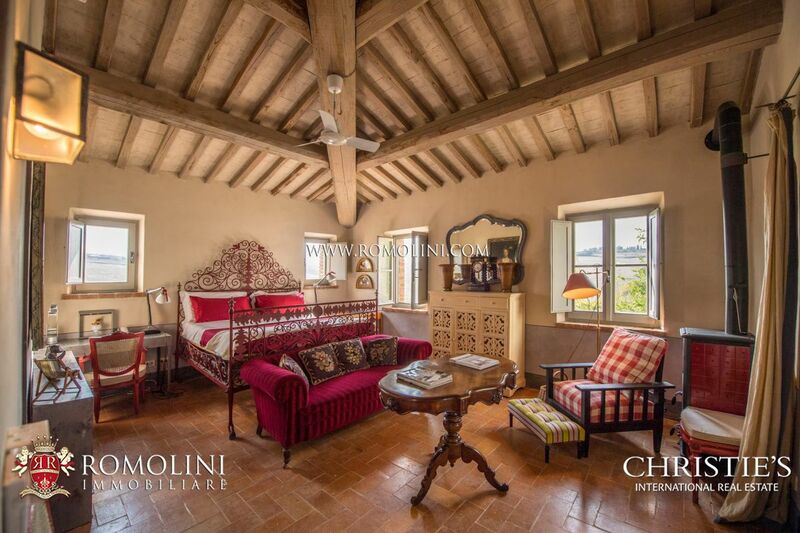 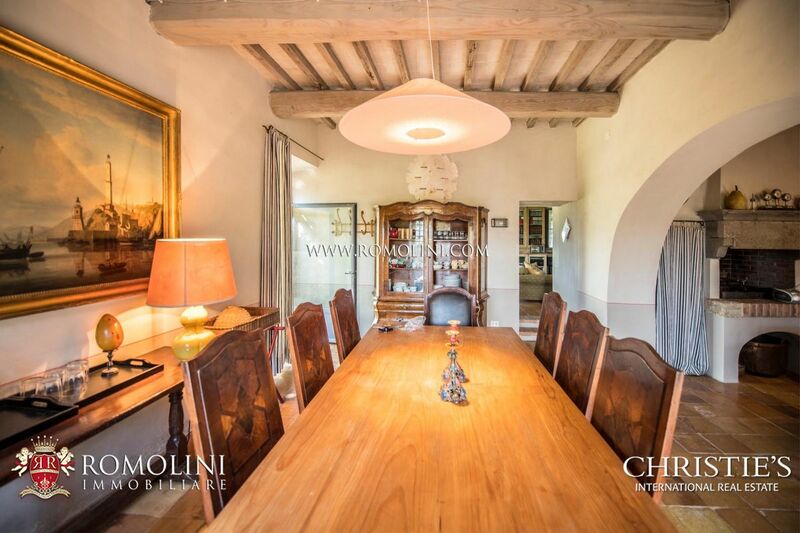 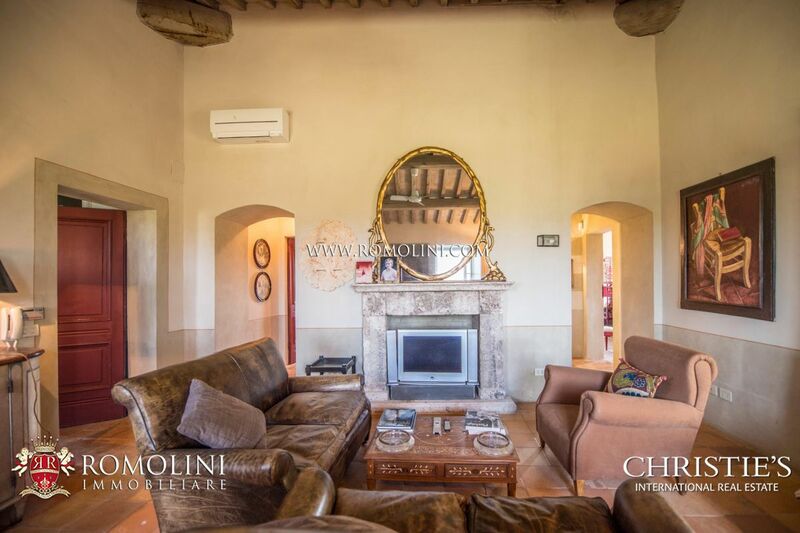 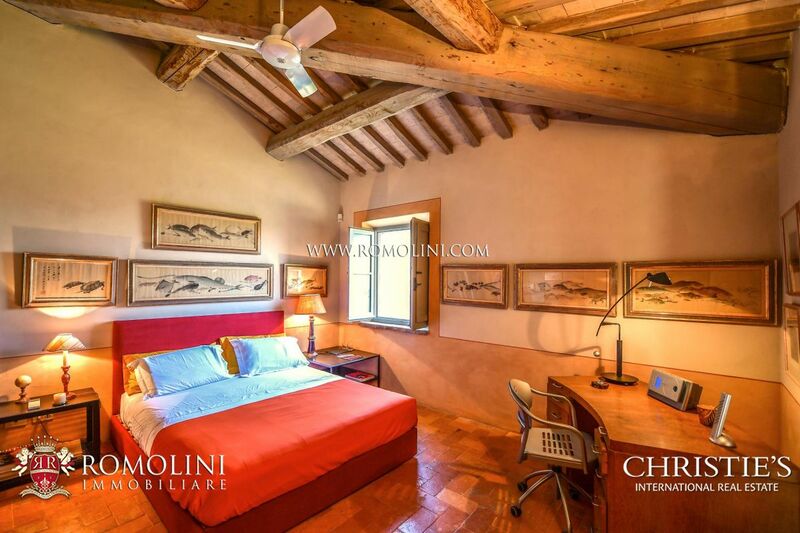 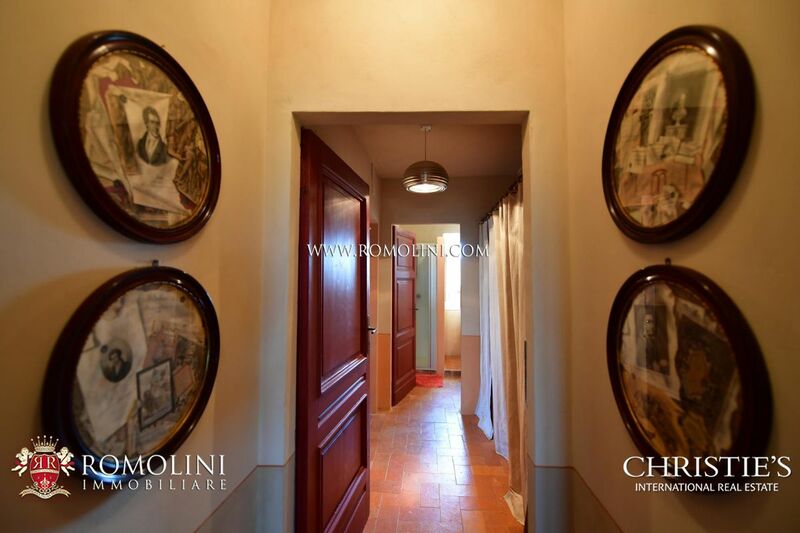 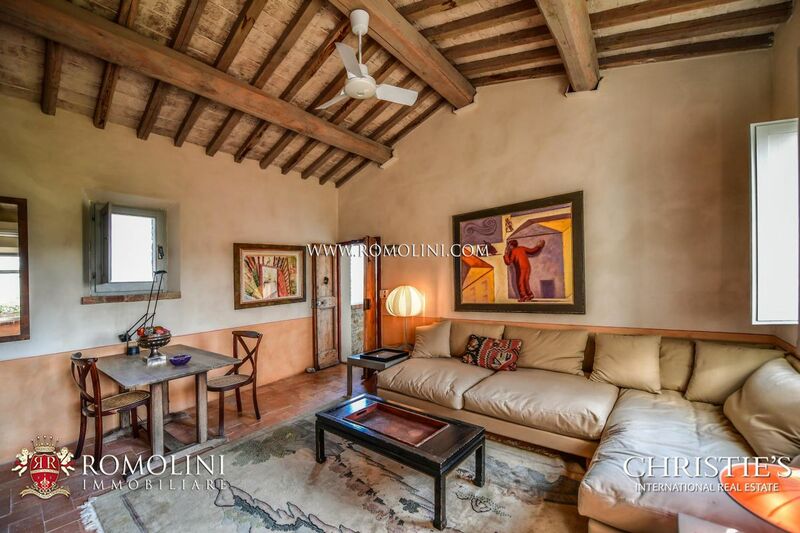 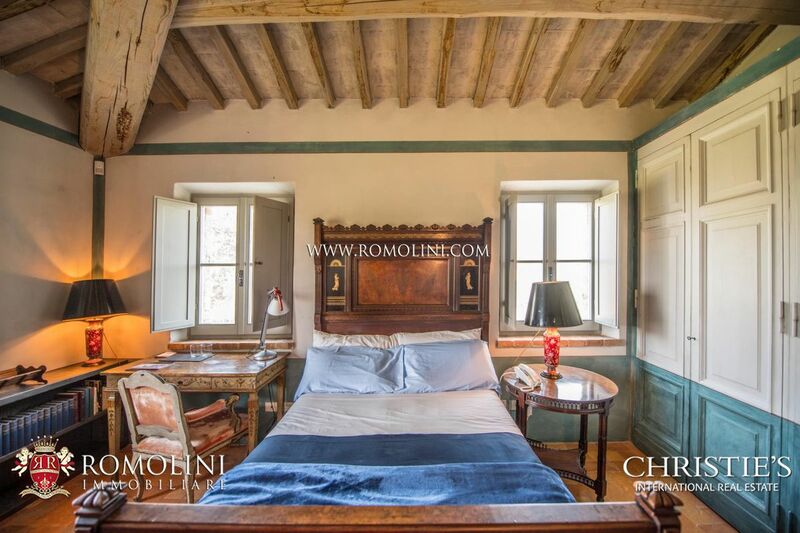 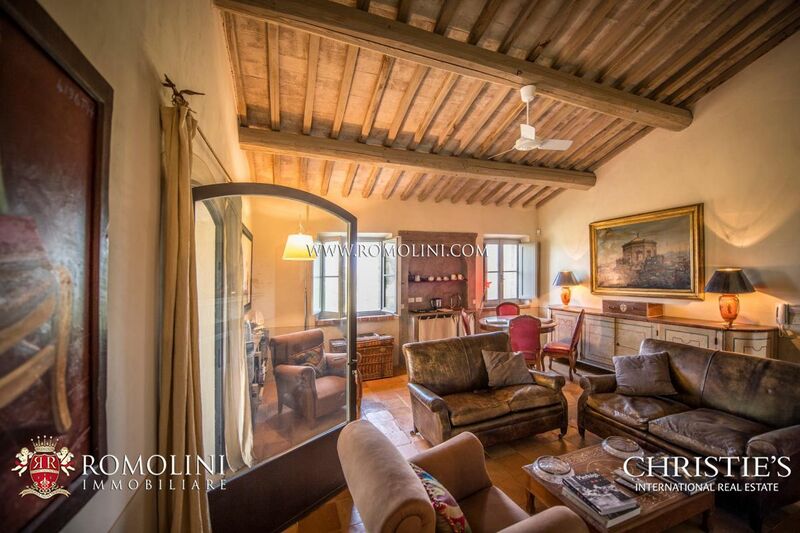 - First floor: bedroom with private loggia and en-suite bathroom (shower and tub), living room with stone fireplace and kitchenette, loggia with view over the town, bedroom with en-suite bathroom (tub) and walk-in closet, two bedrooms with en-suite bathroom (shower). 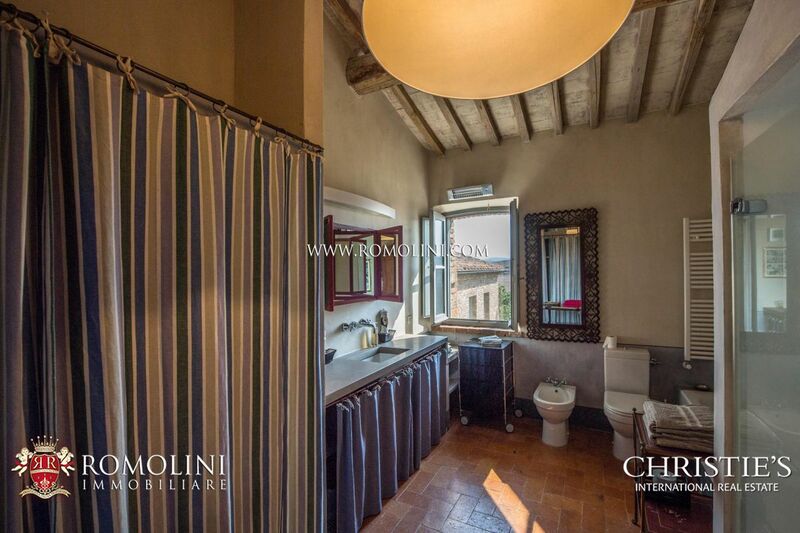 - First floor: two bedrooms and two bathrooms. 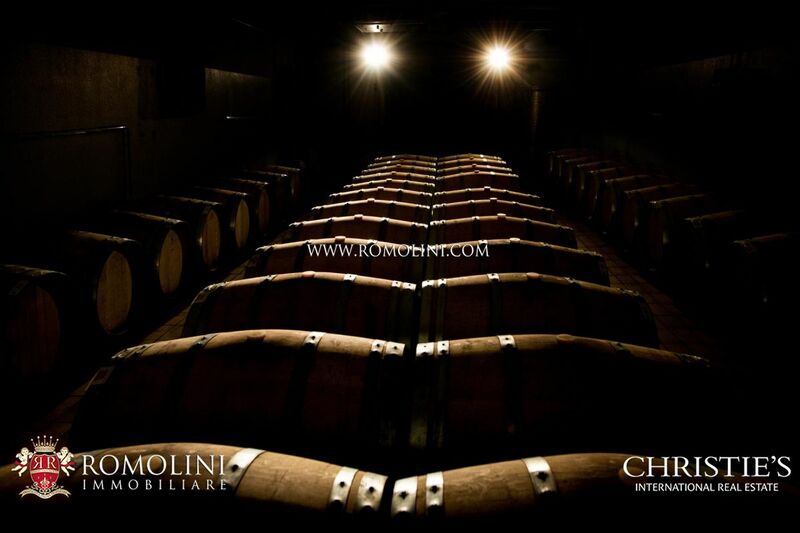 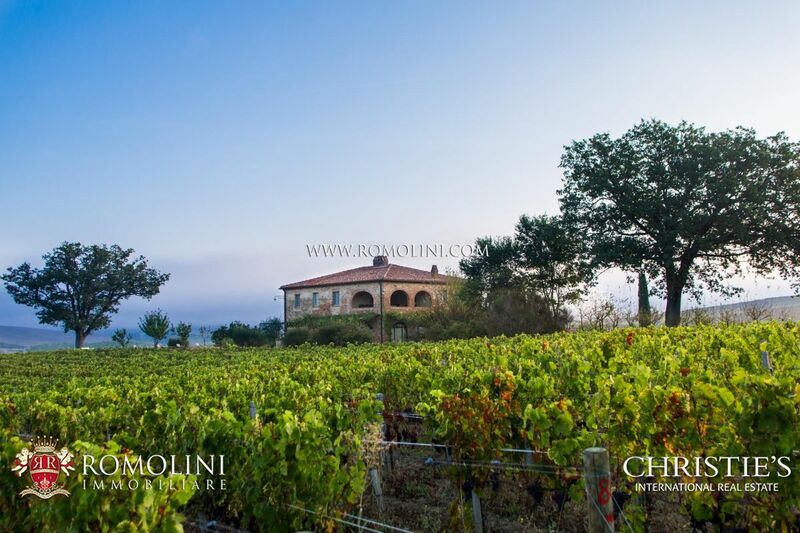 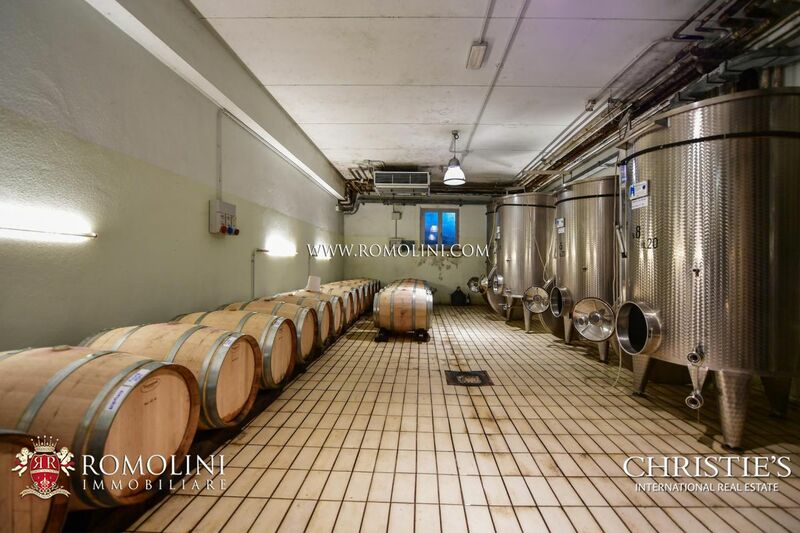 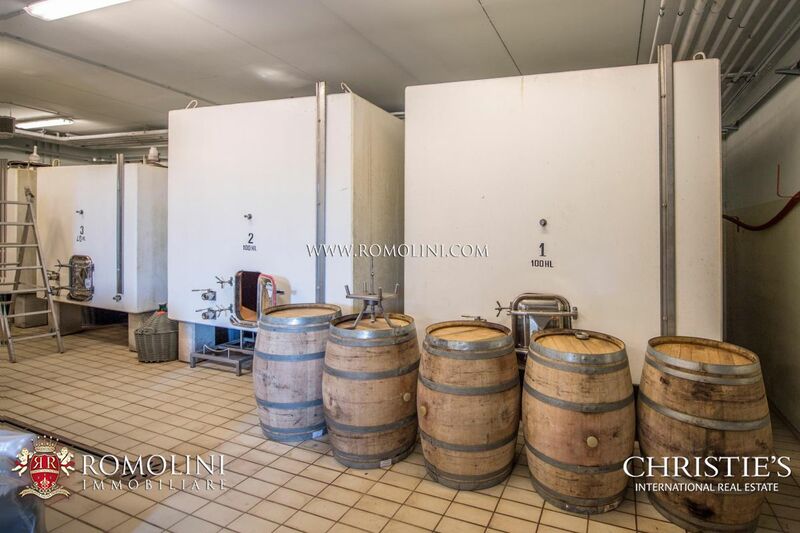 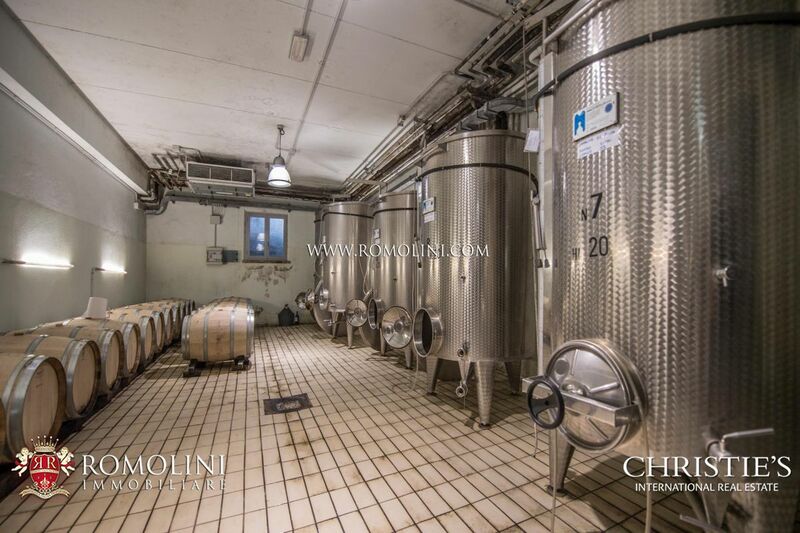 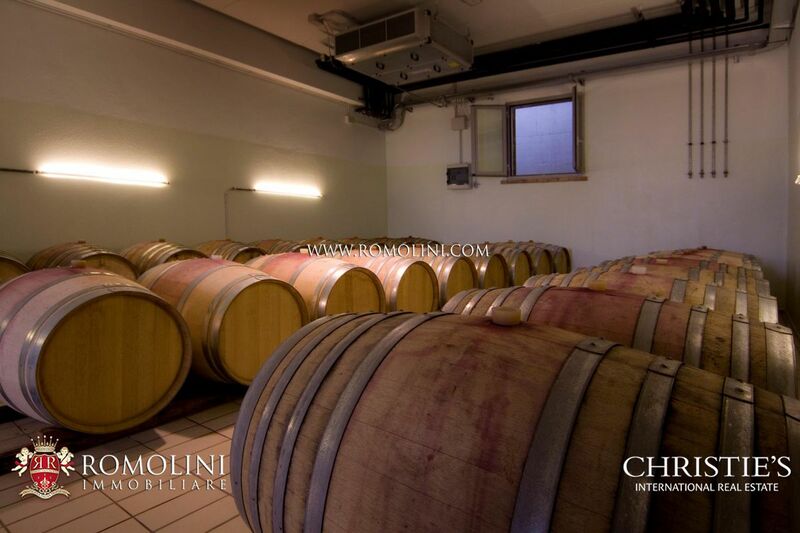 The cellar (740 sqm – 7,962 sqft) is fully equipped to process the grapes and produce wine in the property. 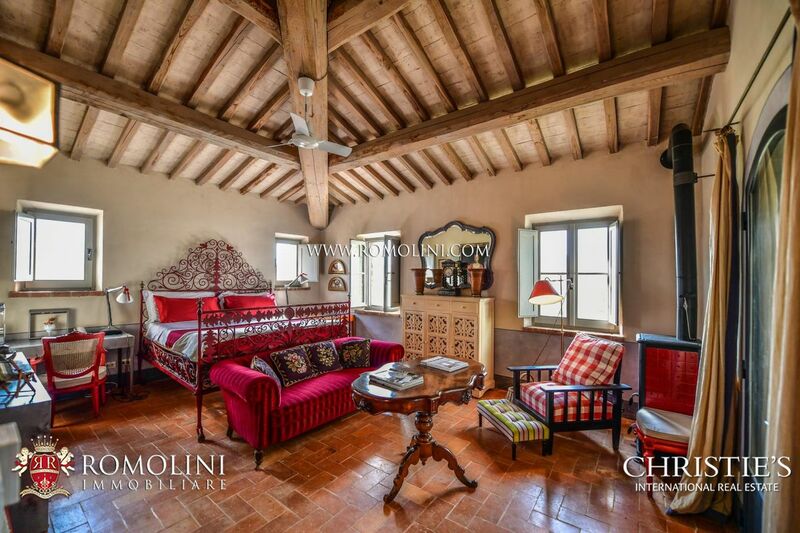 The villa, dating back to the 17th century, has been carefully restored in 2006 with traditional materials and techniques to preserve the rustic look of the building. 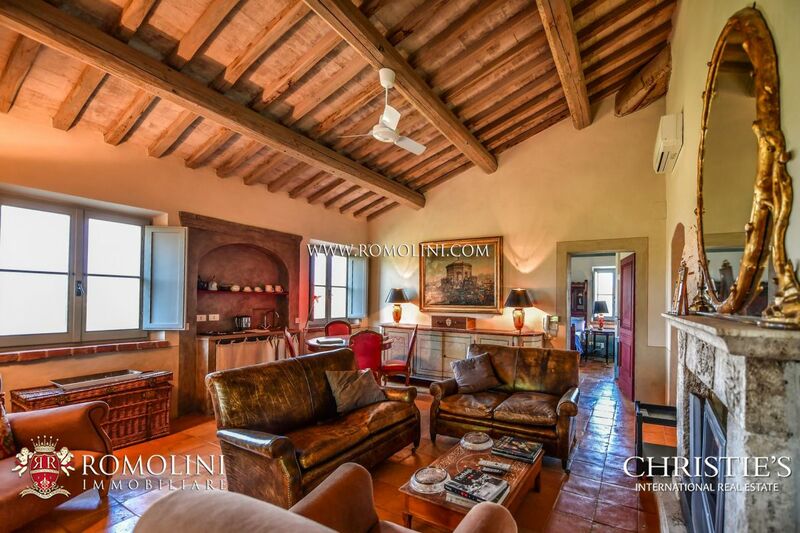 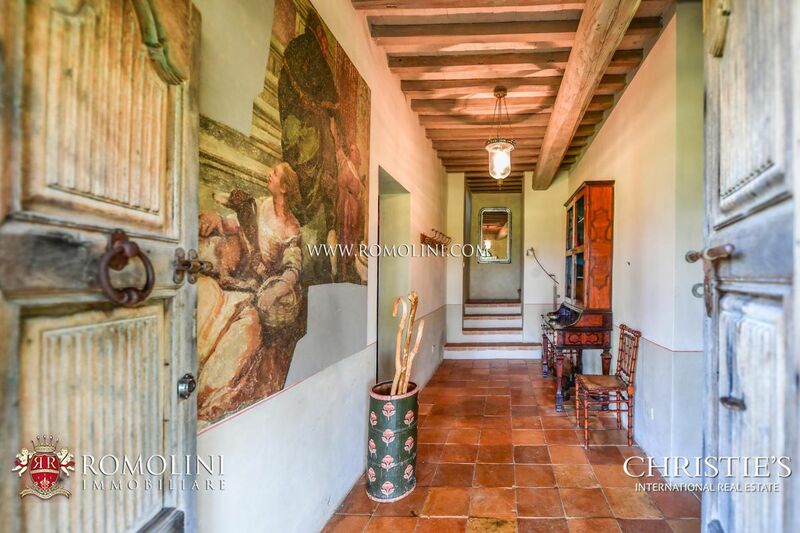 On the outside we can see classical masonry walls, while on the inside there are terracotta floors, masonry arches, wooden beams and stone fireplace. 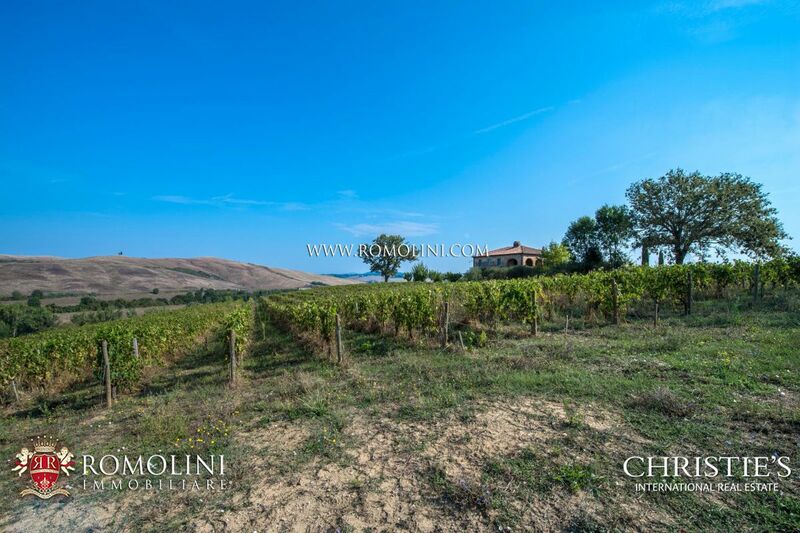 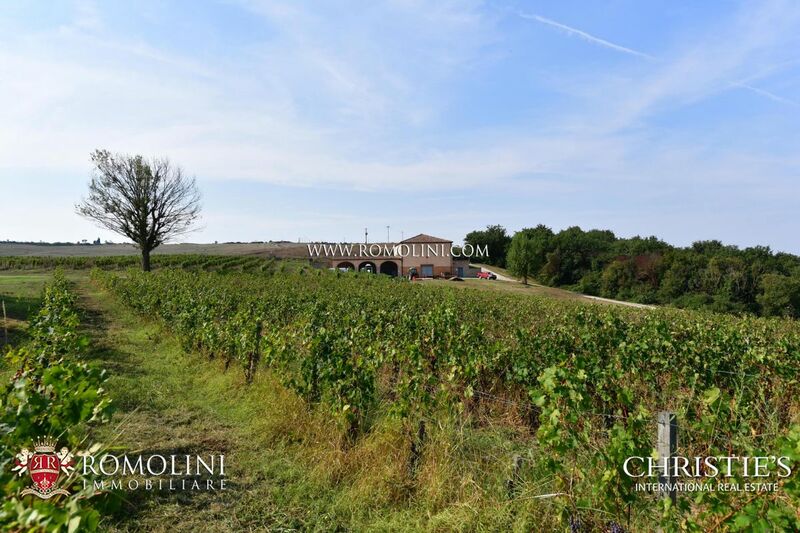 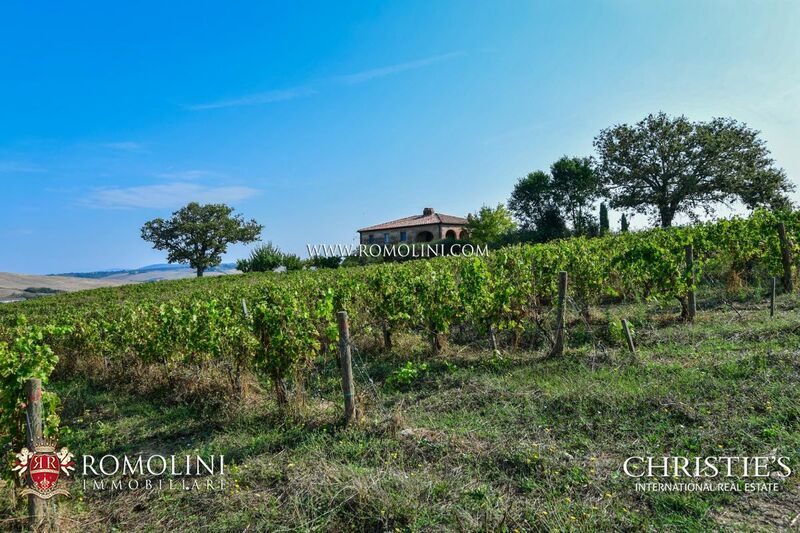 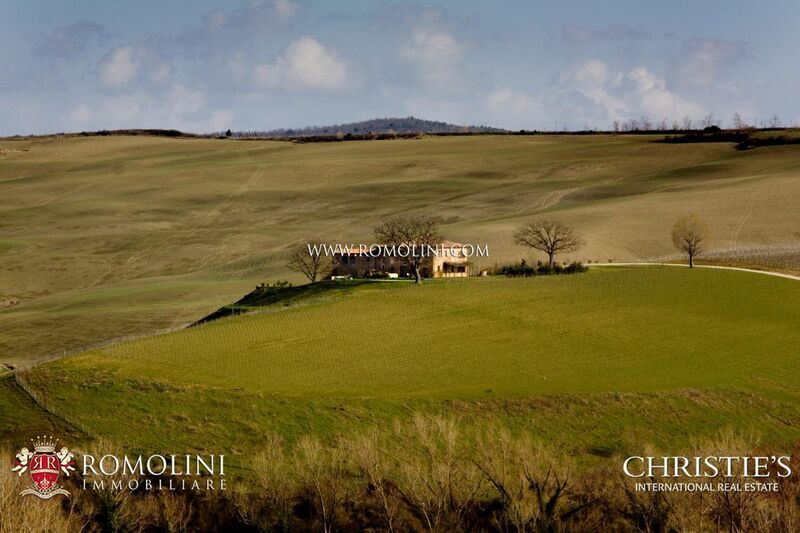 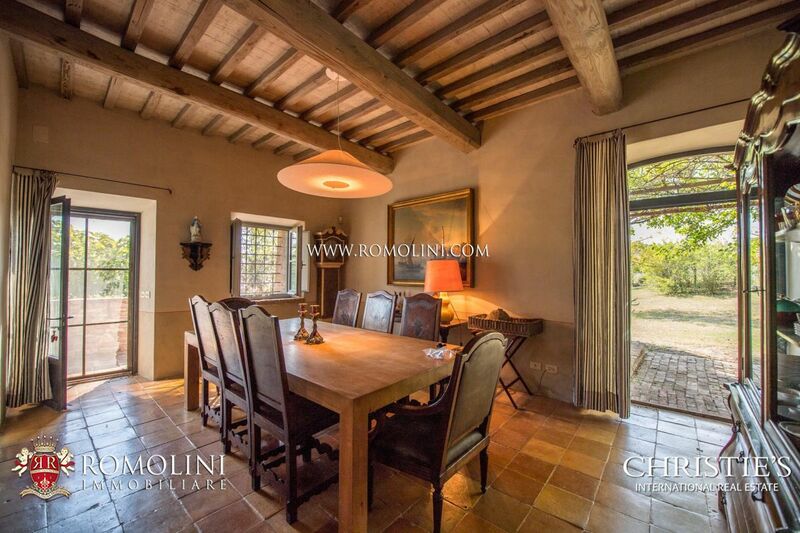 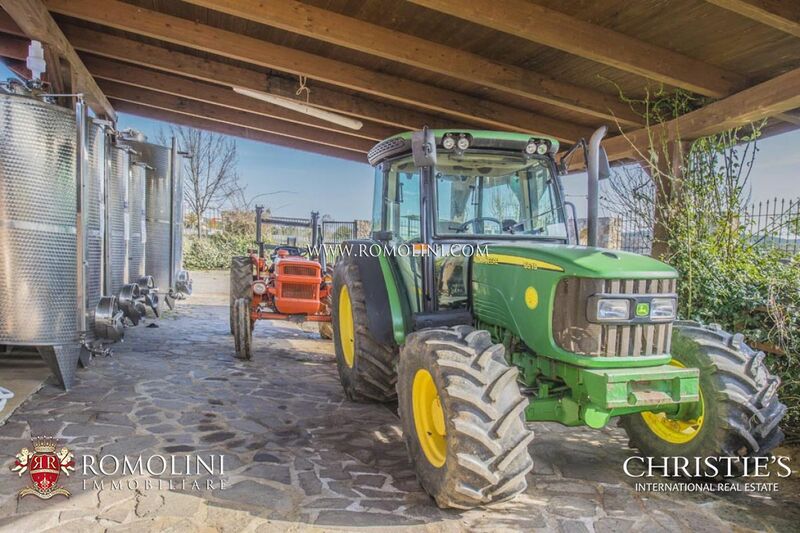 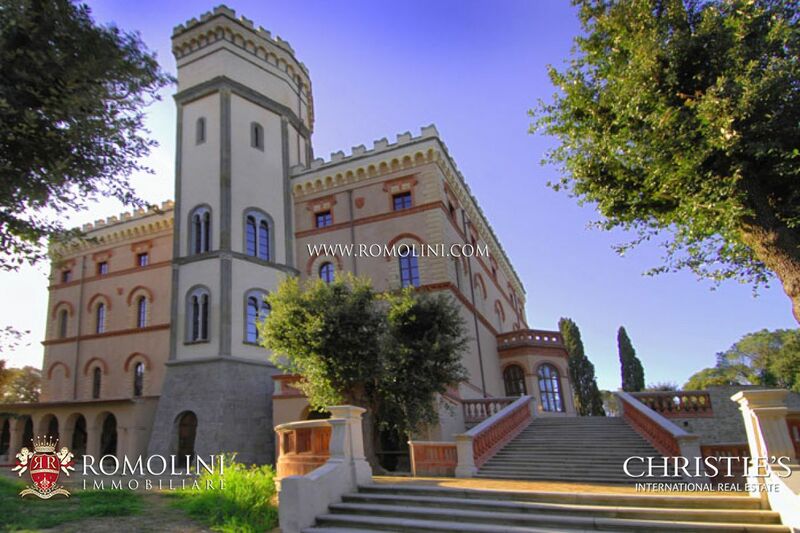 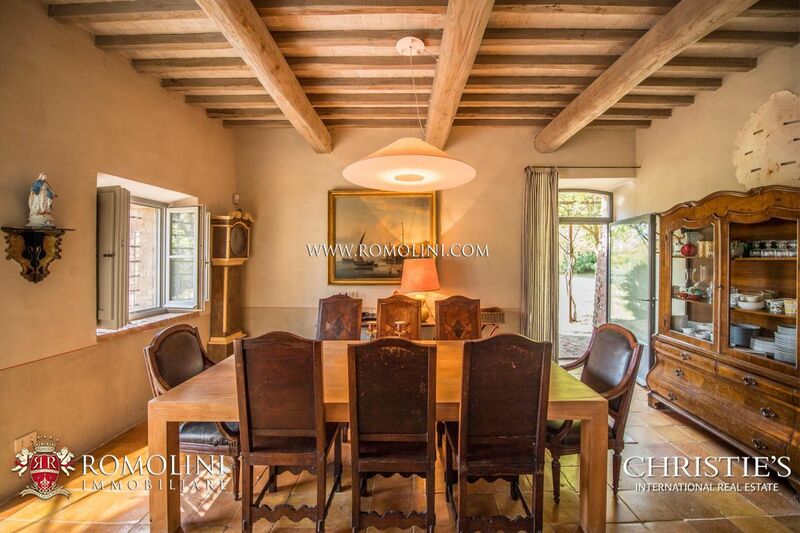 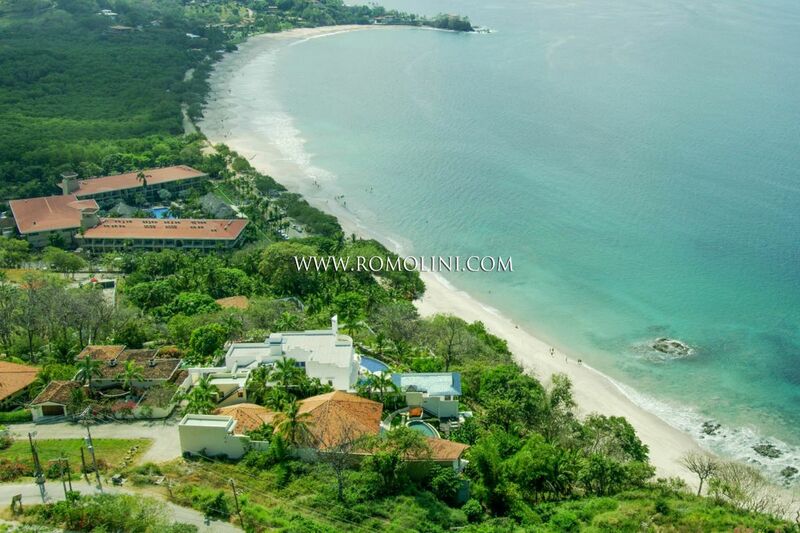 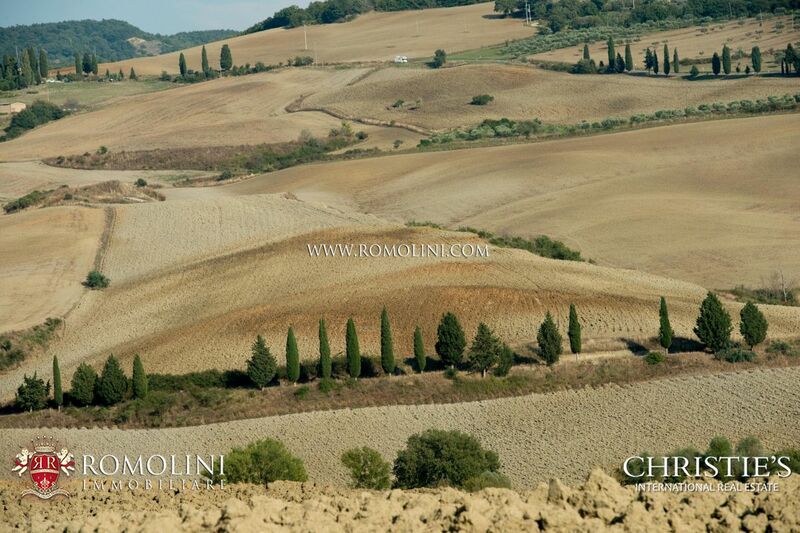 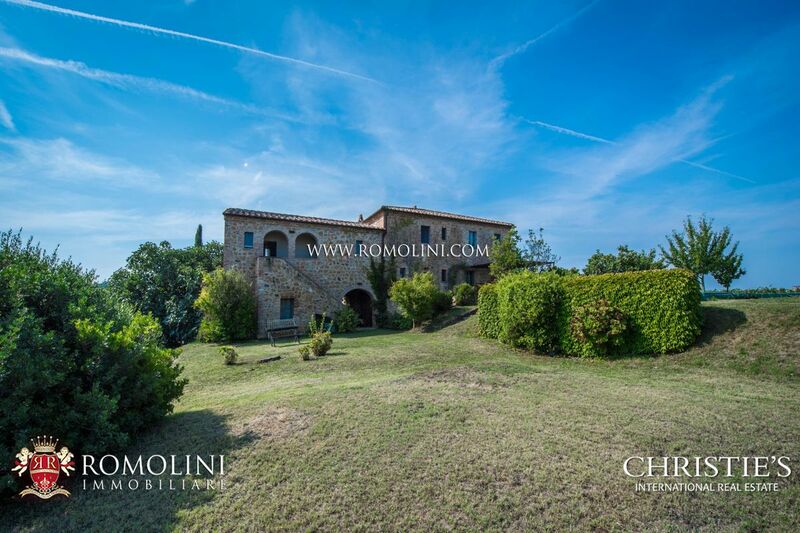 The property is made up of 12.5 hectares of land, mainly registered as arable surface. 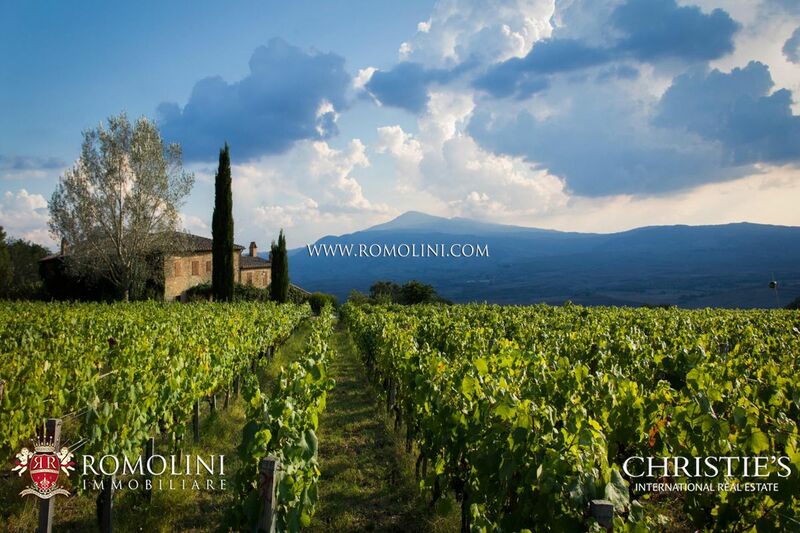 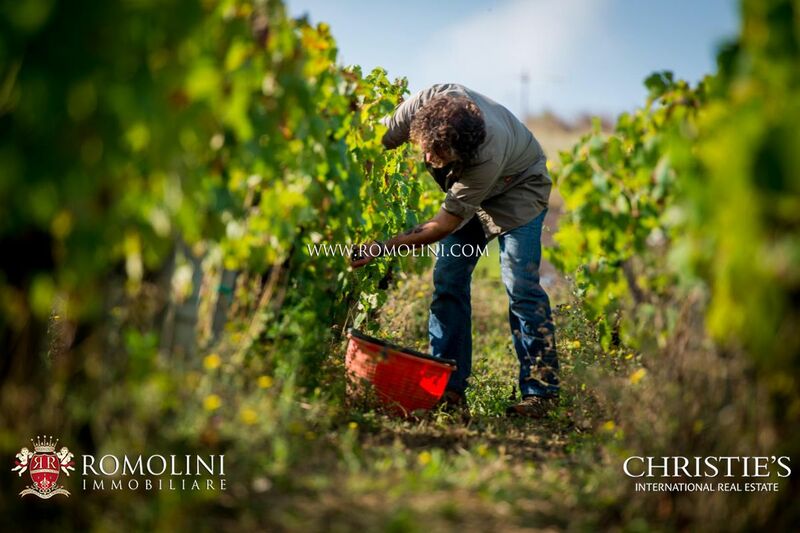 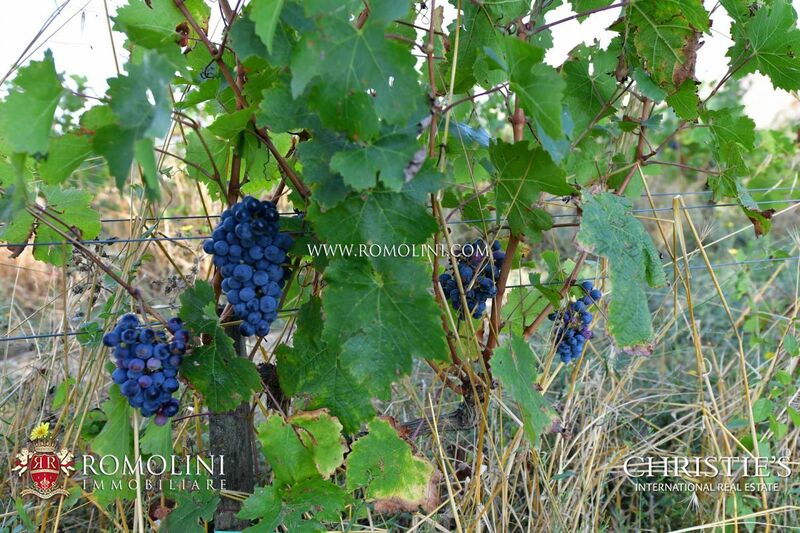 Vineyards cover roughly 4.4 hectares of land and allow to produce each year approx. 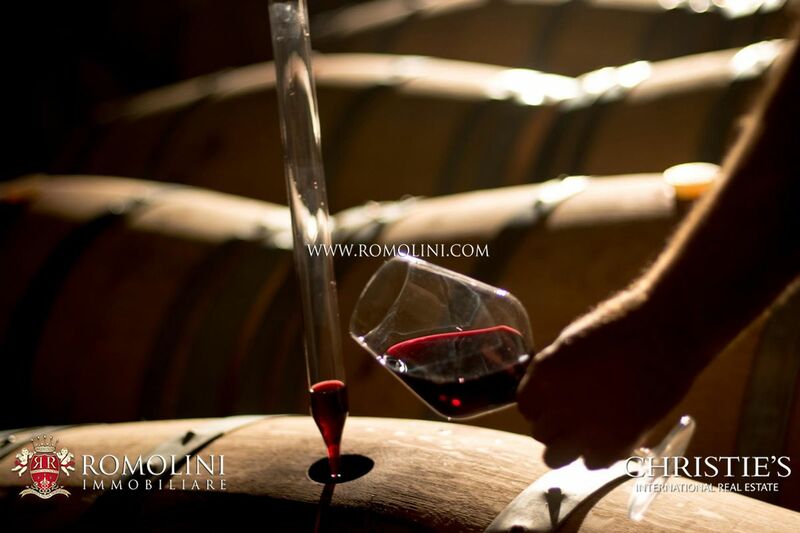 86 hl of wine (roughly equivalent to 11,500 bottles) made up of Cabernet Sauvignon (between 40% and 45%), Cabernet Franc (between 40% and 45%) and Petit Verdot (between 10% and 15%). The remaining surface is split between arable land (7.5 ha) and woodland (0.6 ha). 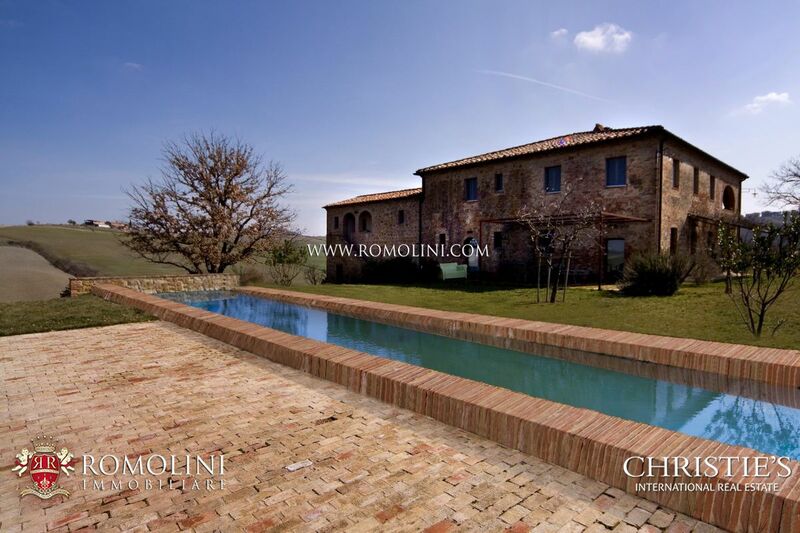 The garden surrounding the villa also hosts the 20 x 4 m swimming pool. 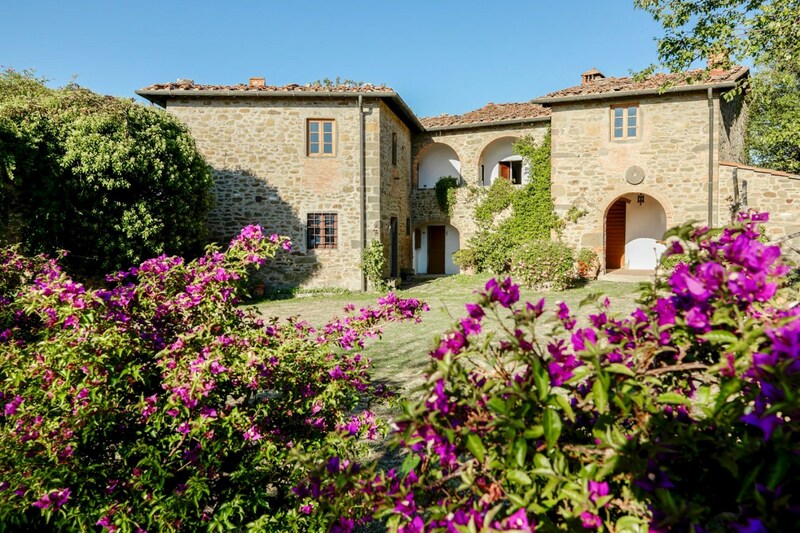 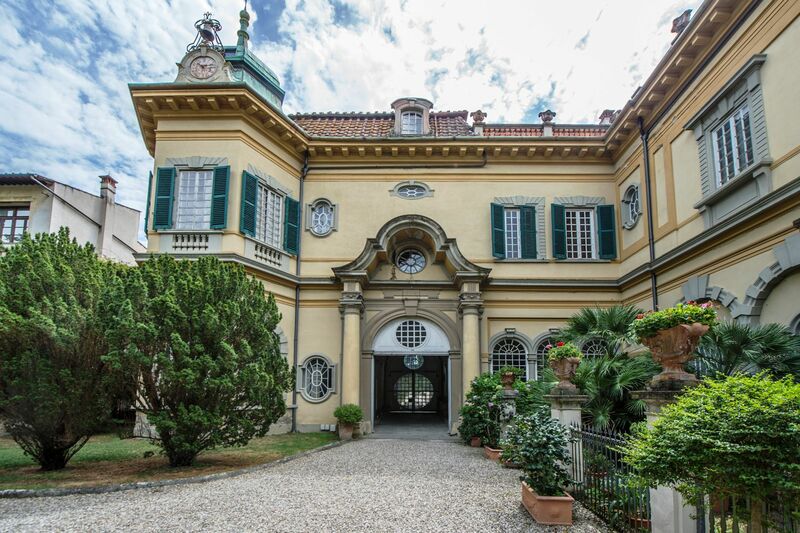 The villa, thanks to its size and the presence of a guest house, is perfectly suitable to be used as a B&B-like business capable of hosting up to 14 guests (7 double bedrooms). 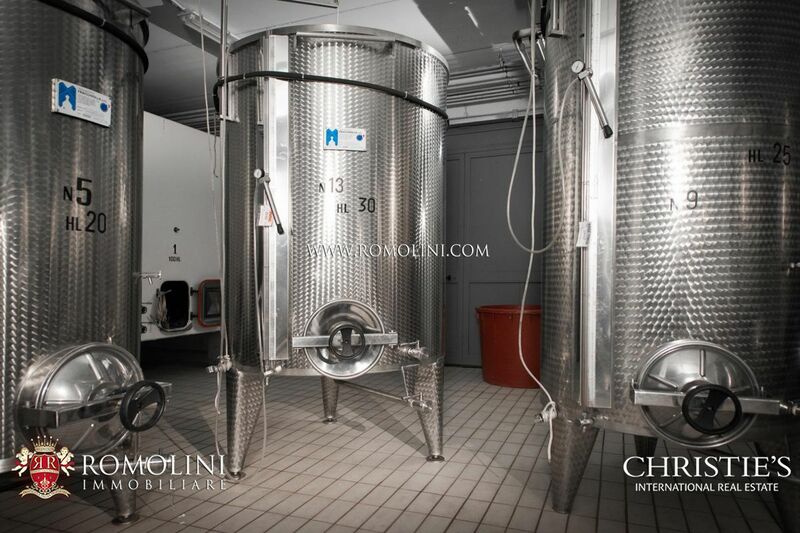 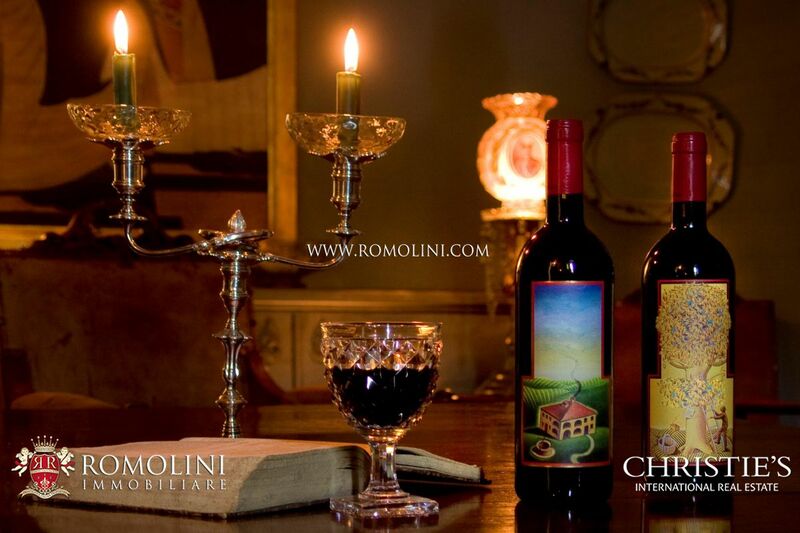 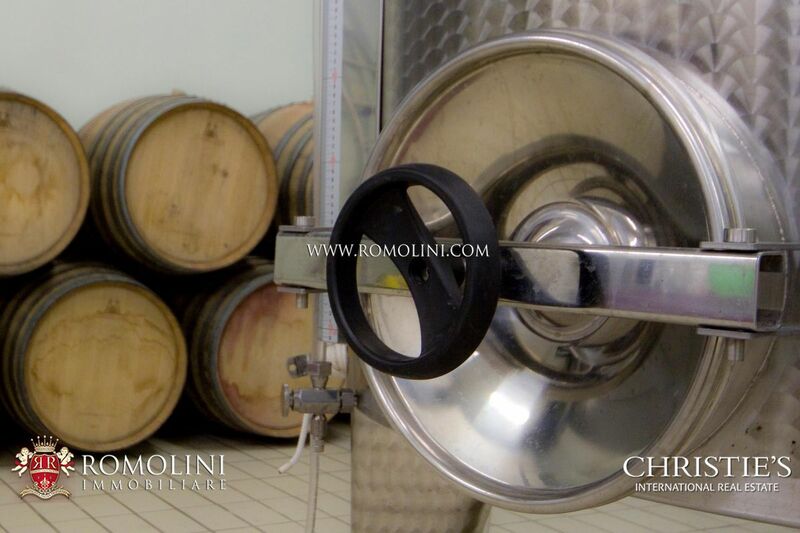 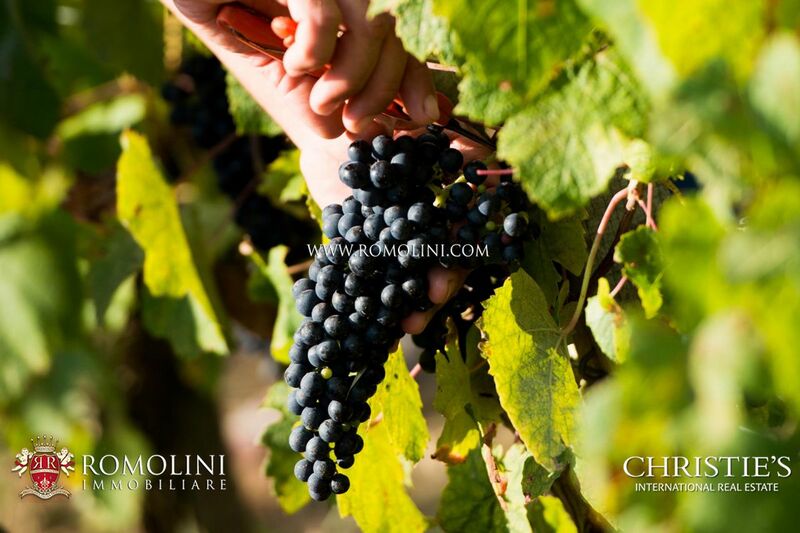 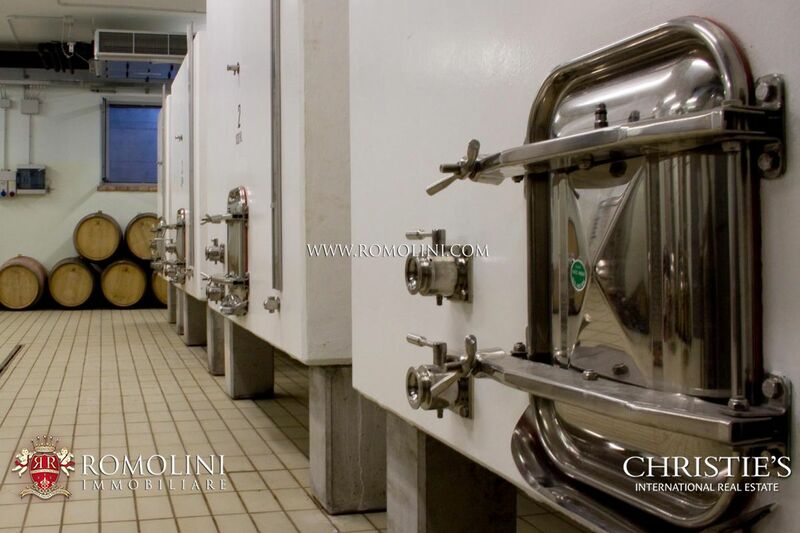 The cellar built not far from the farmhouse allows processing harvested grapes and bottling wine.